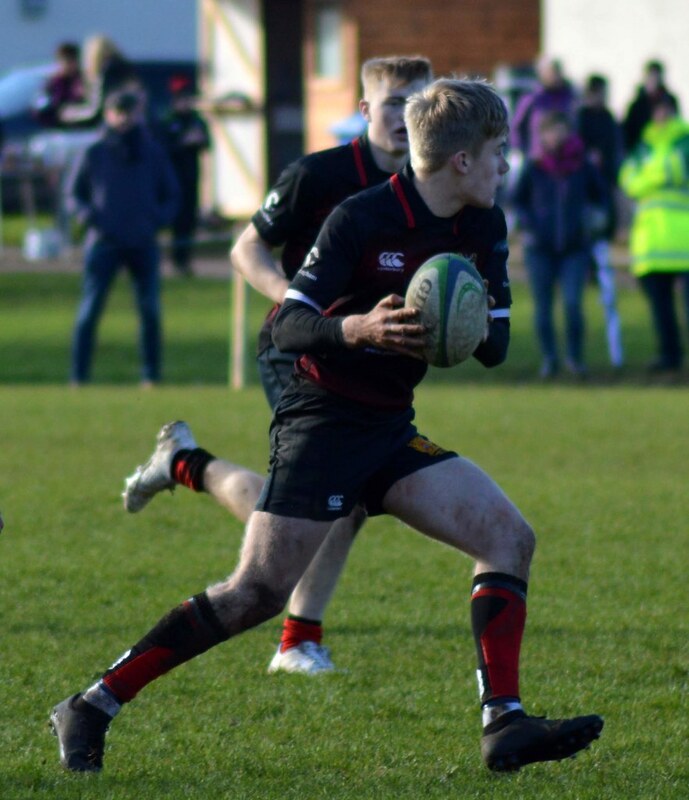 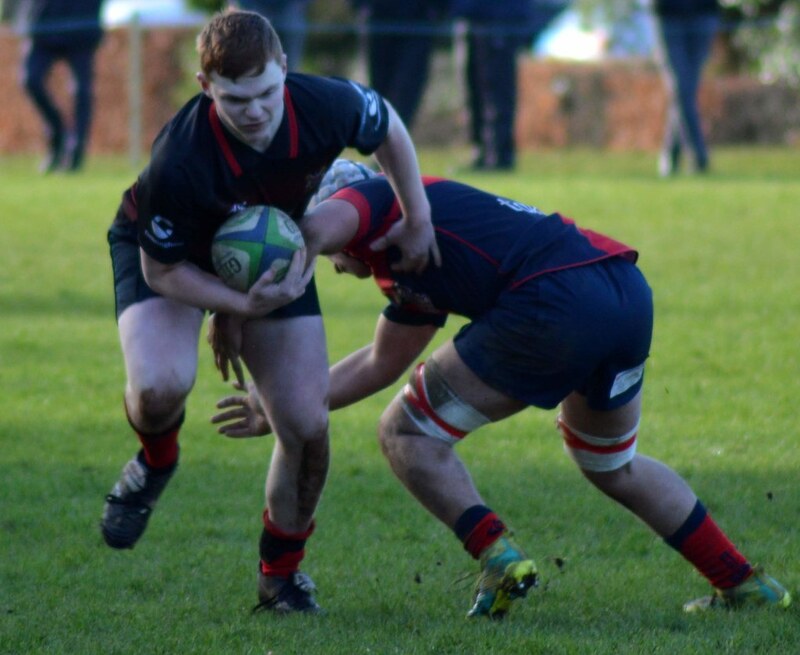 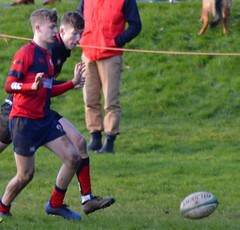 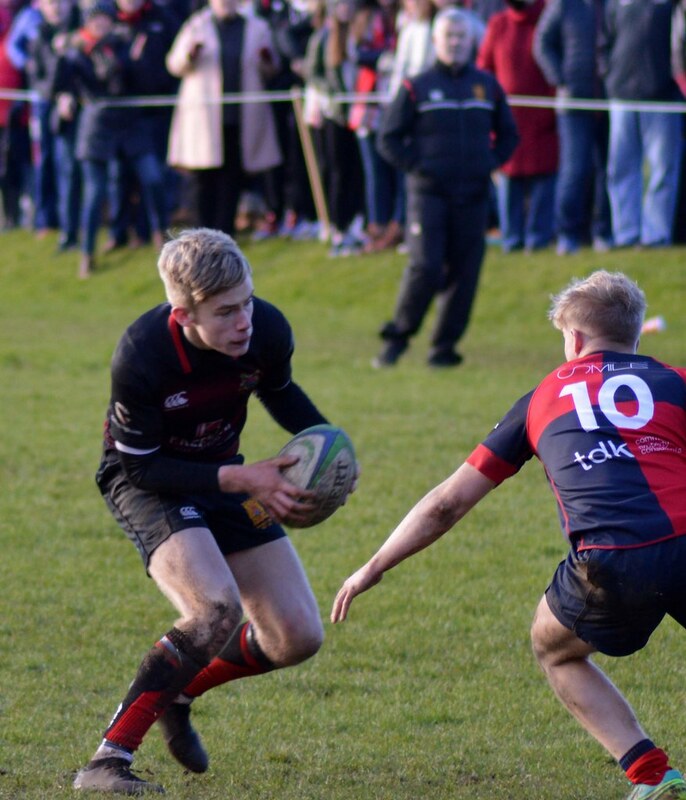 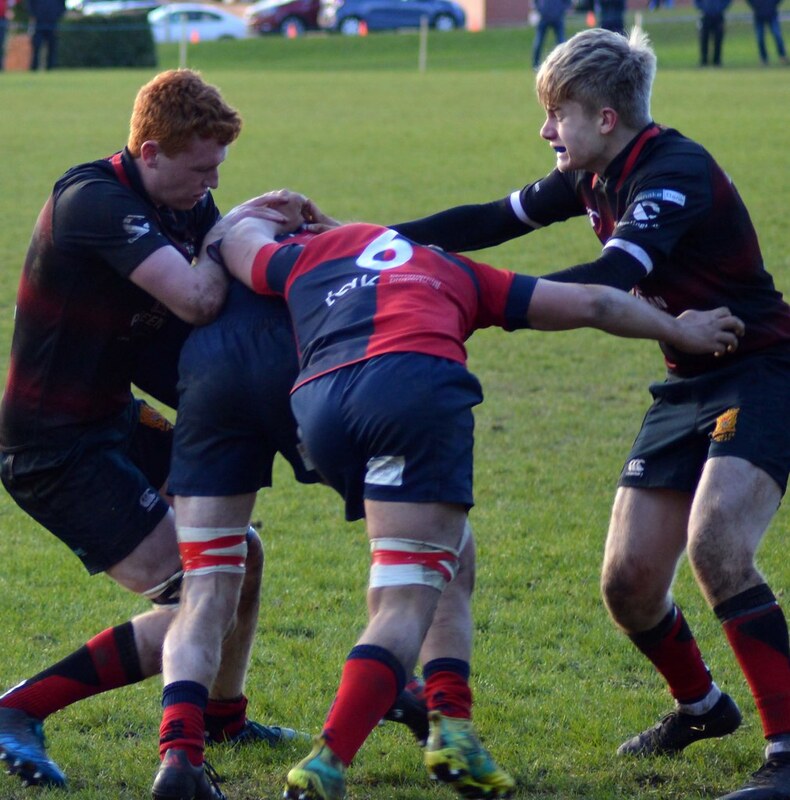 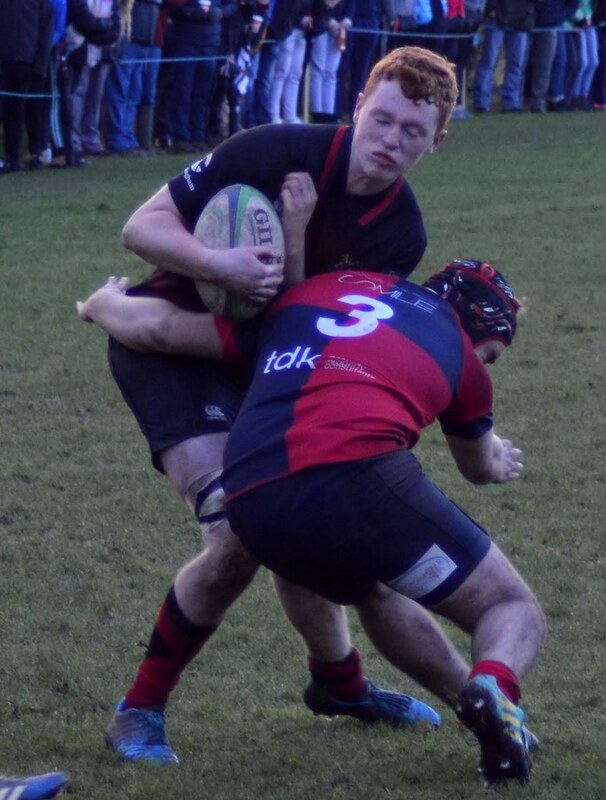 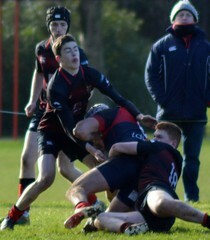 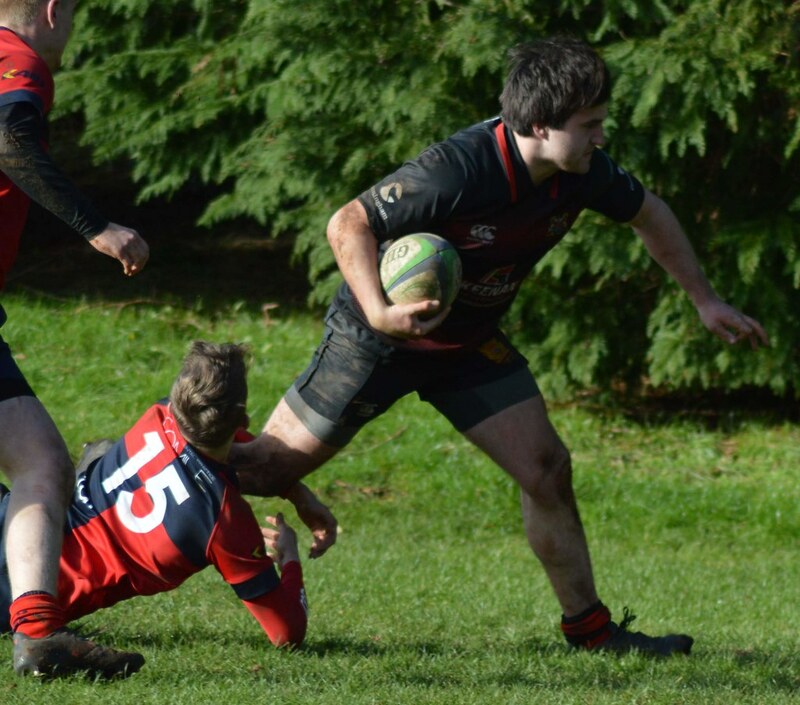 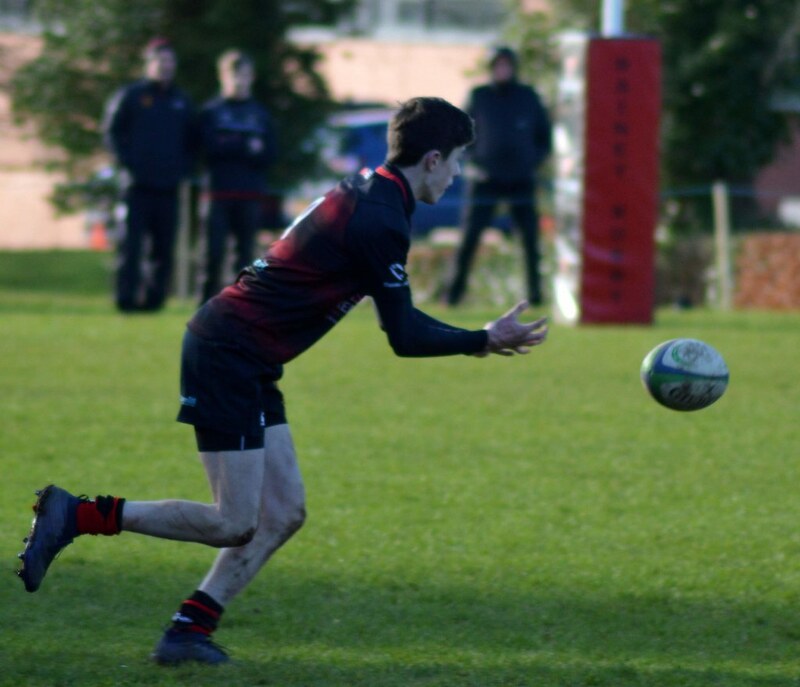 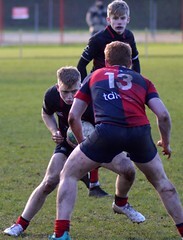 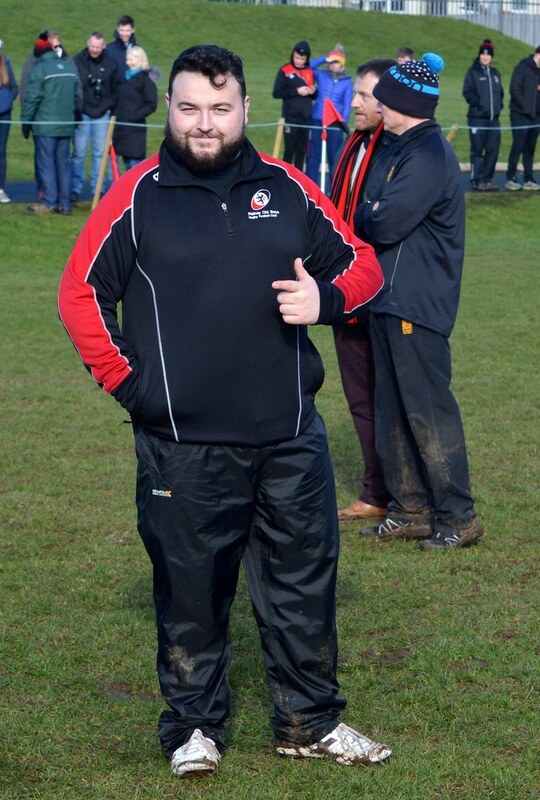 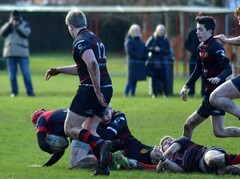 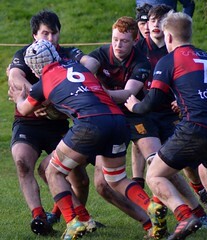 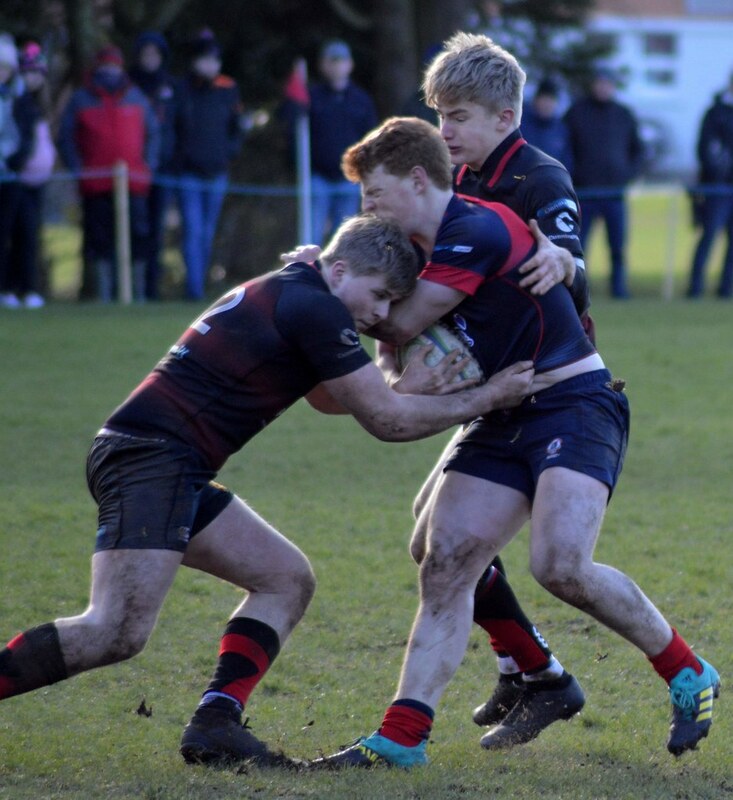 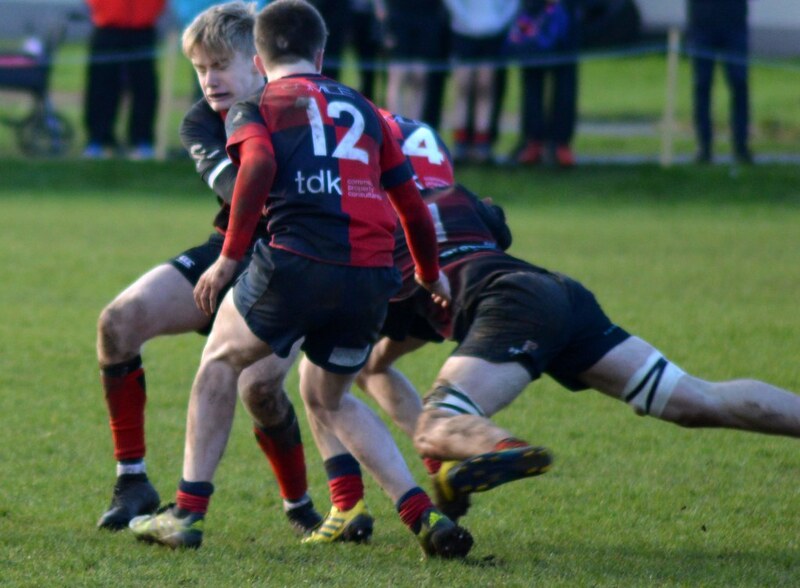 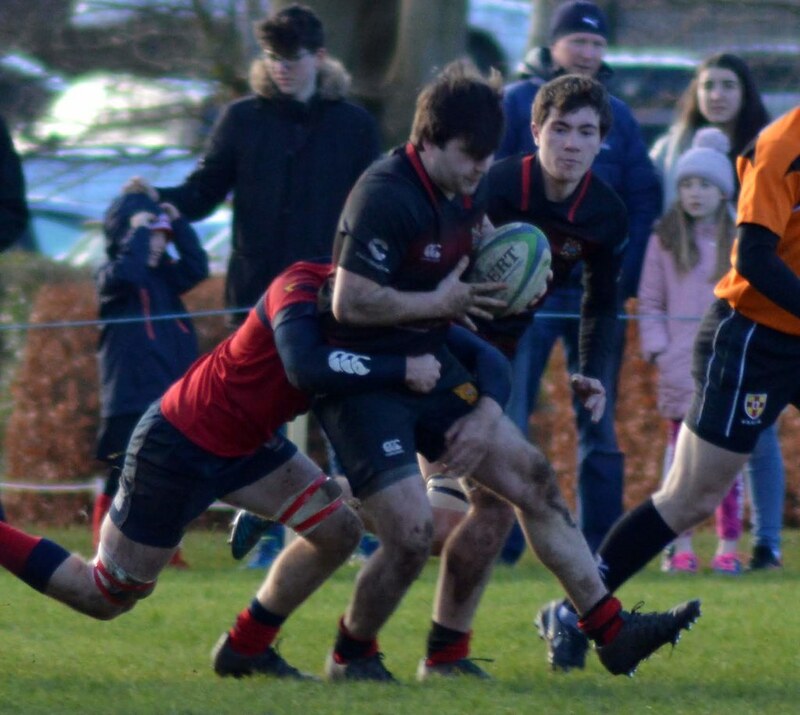 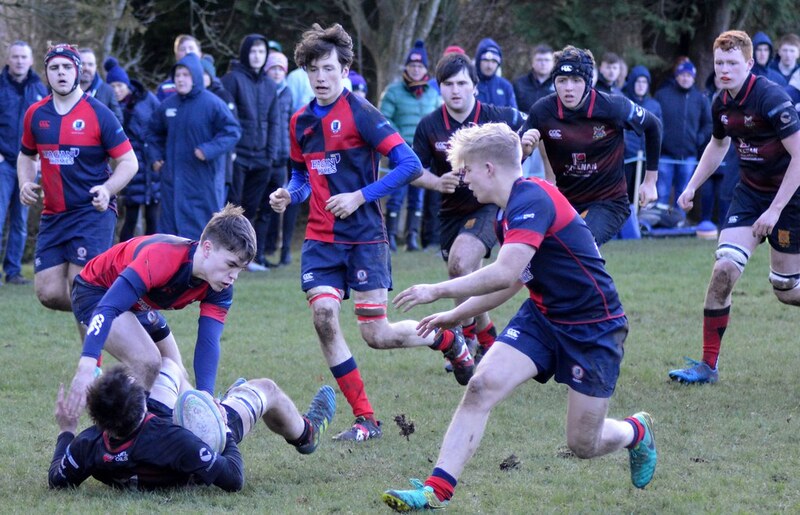 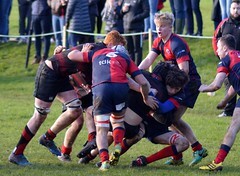 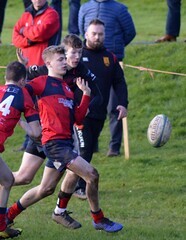 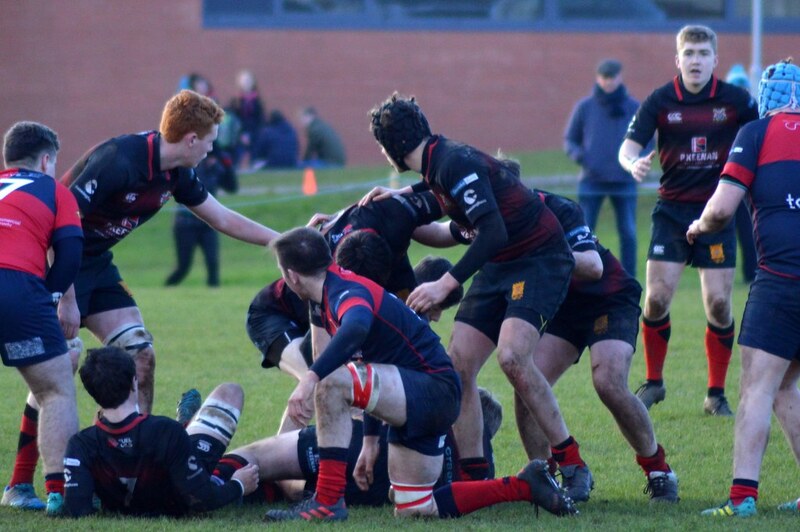 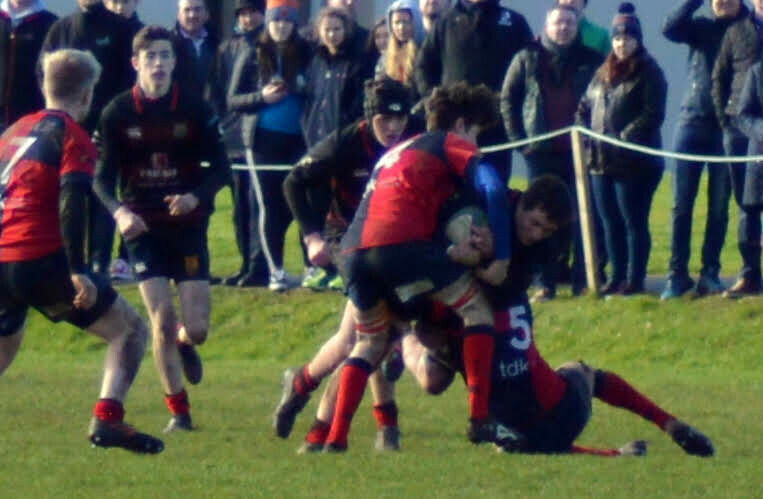 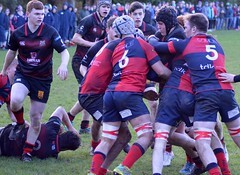 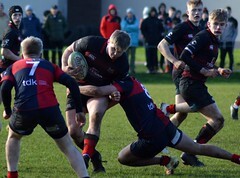 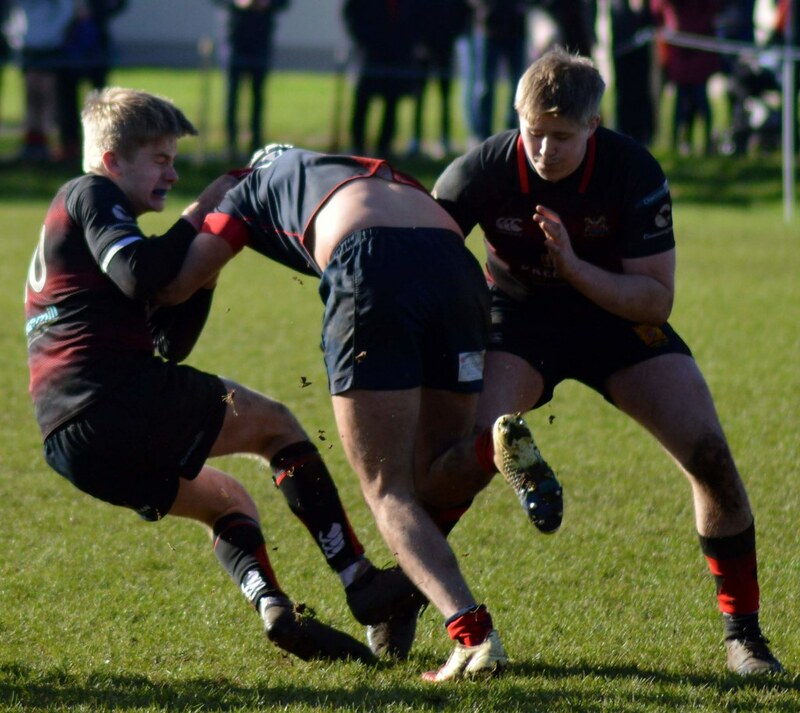 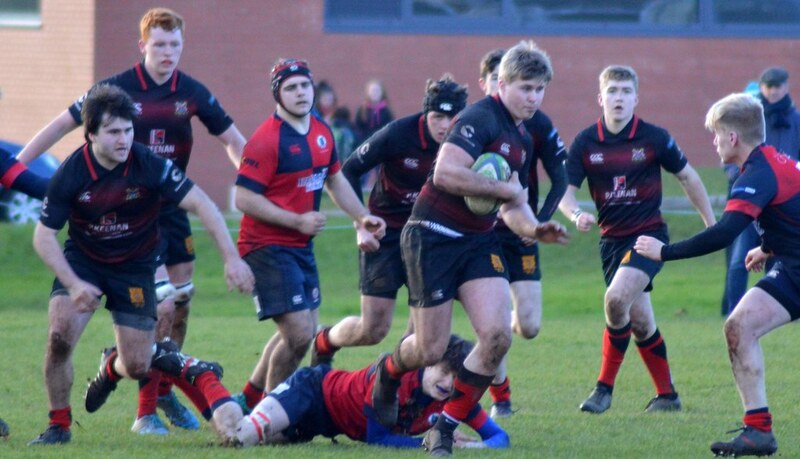 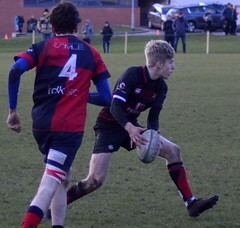 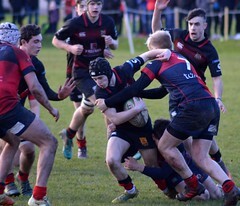 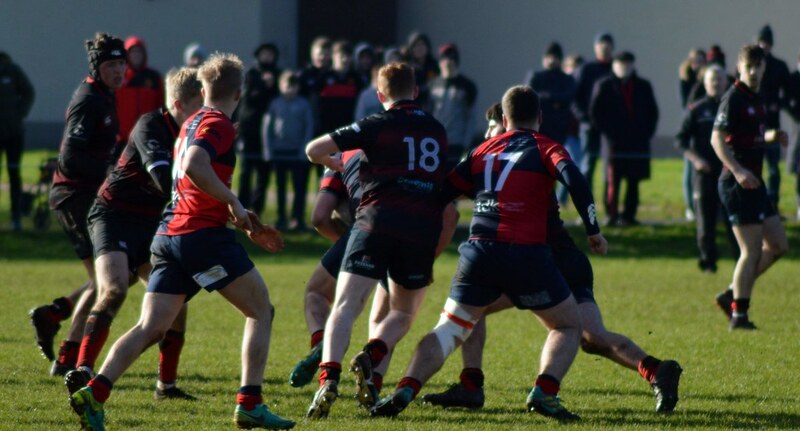 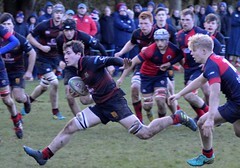 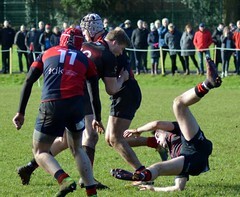 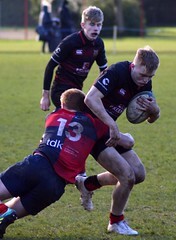 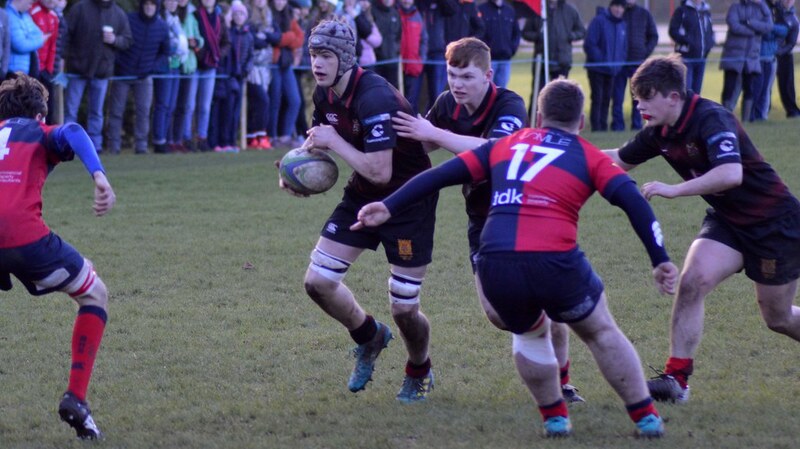 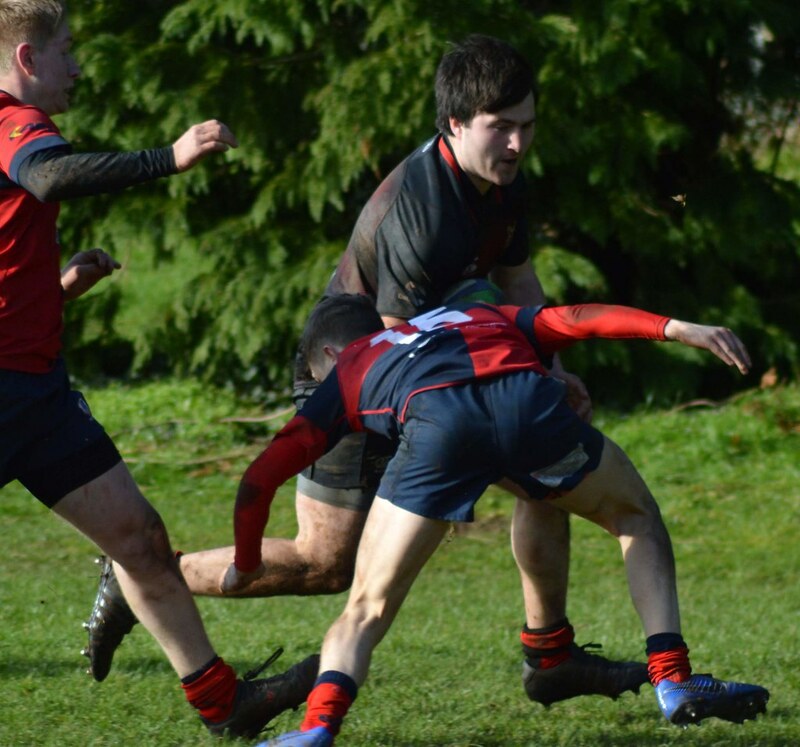 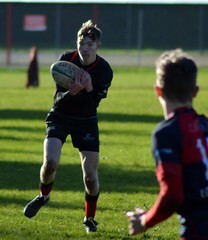 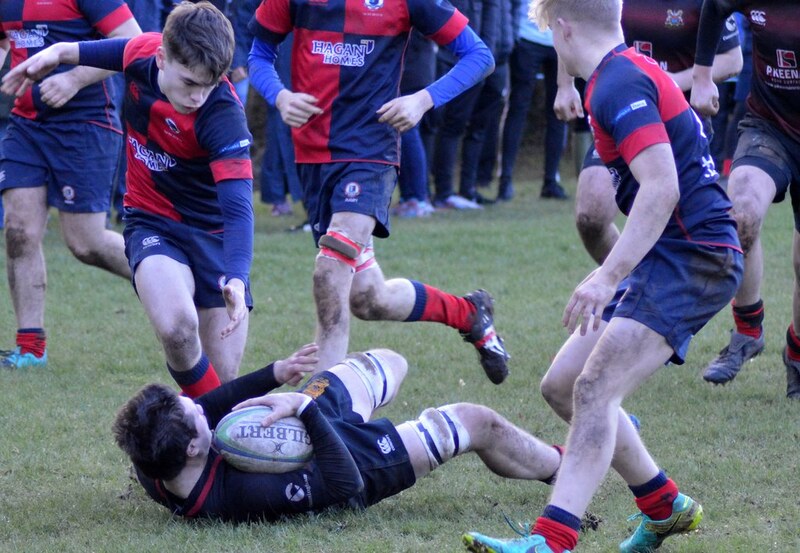 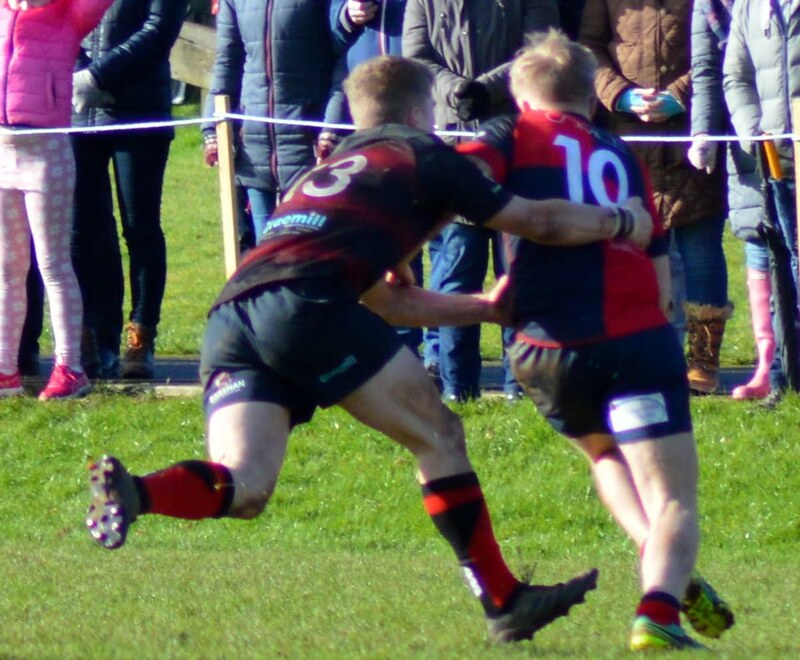 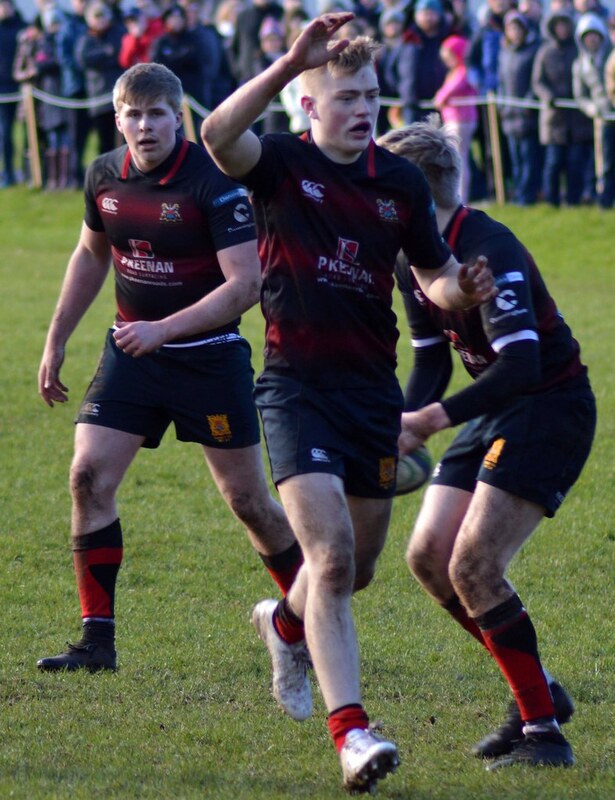 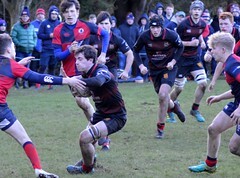 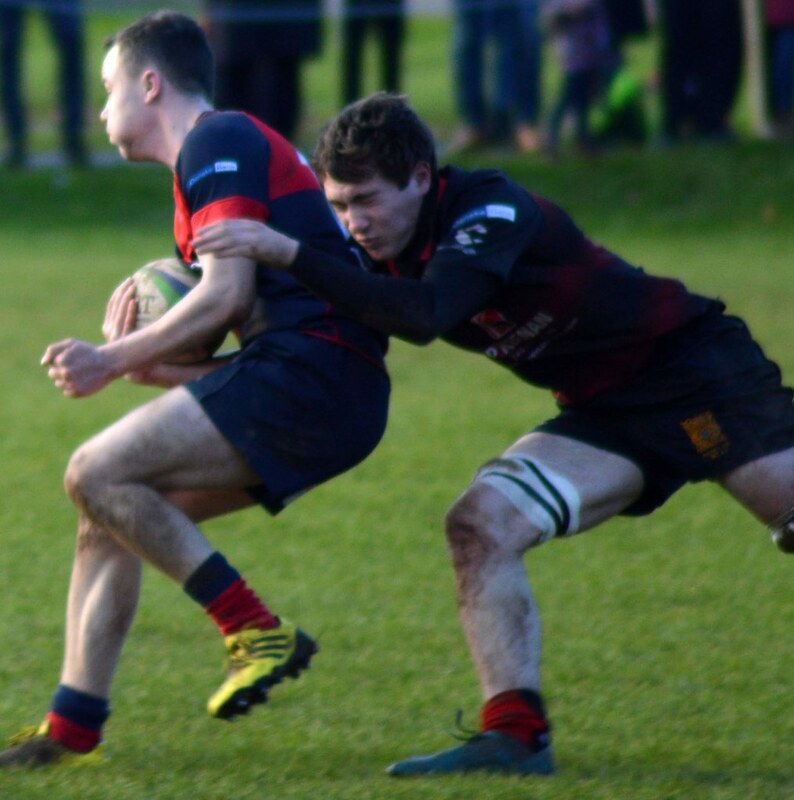 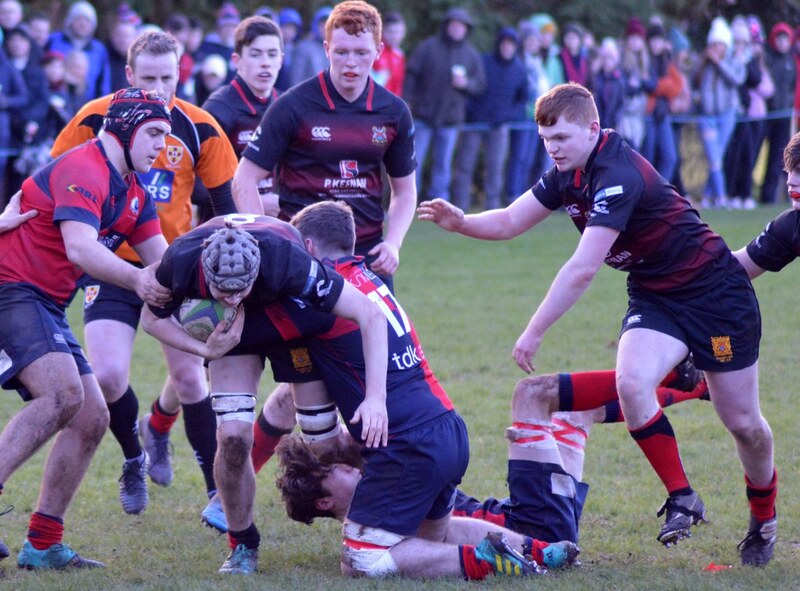 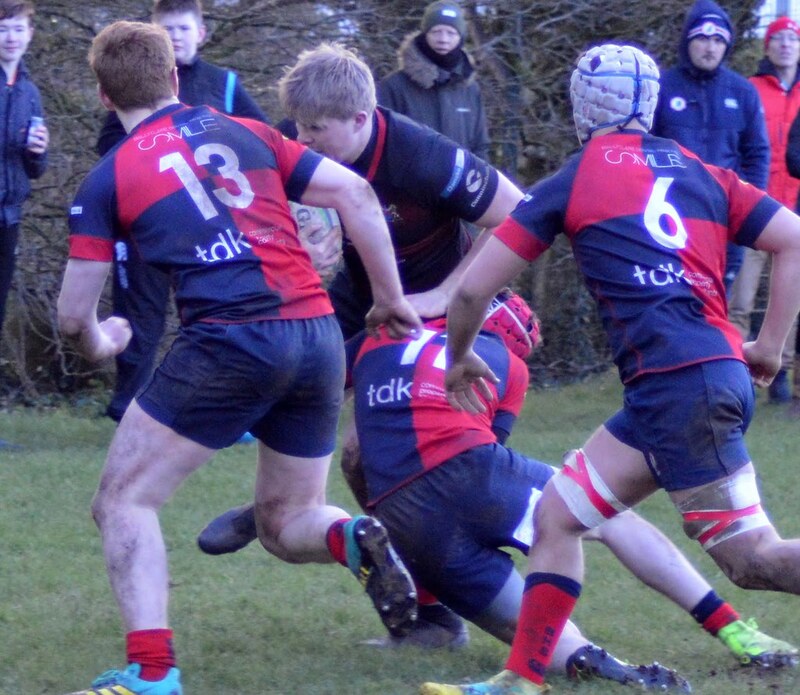 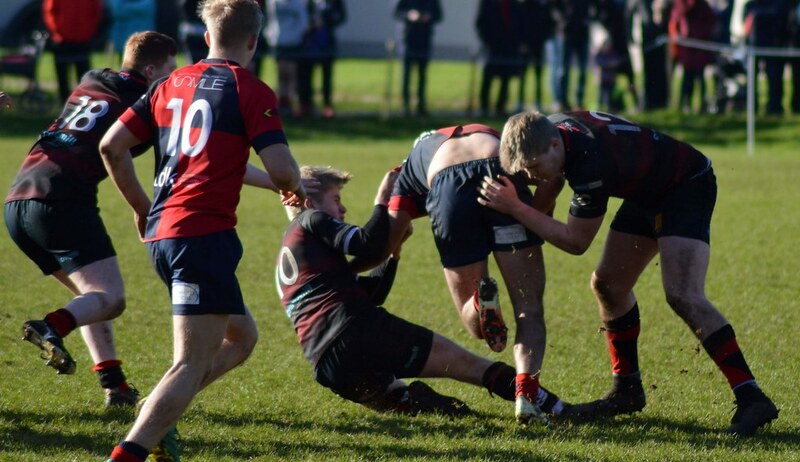 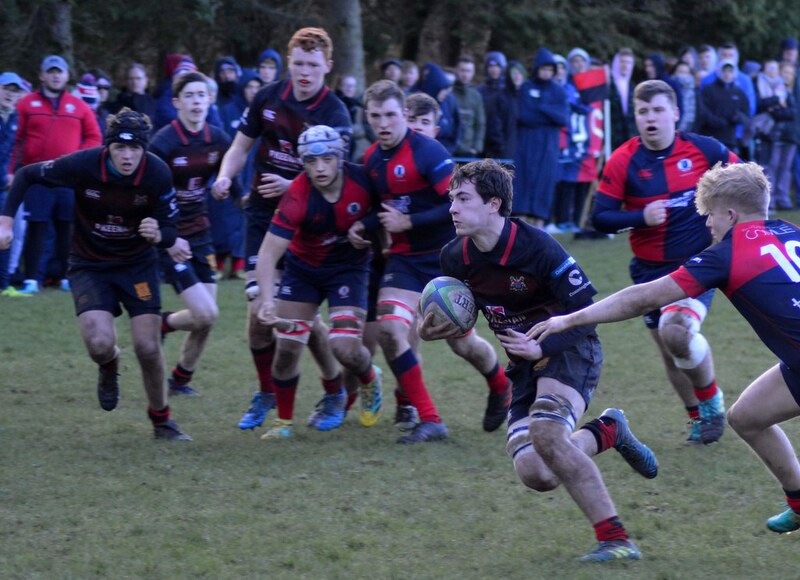 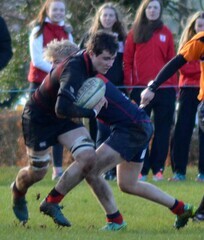 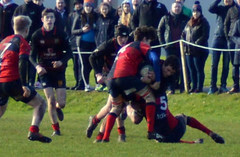 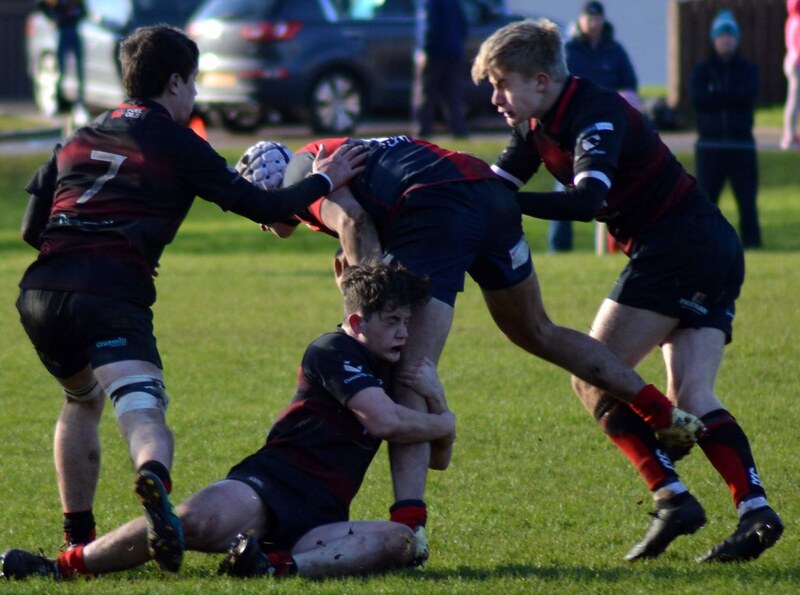 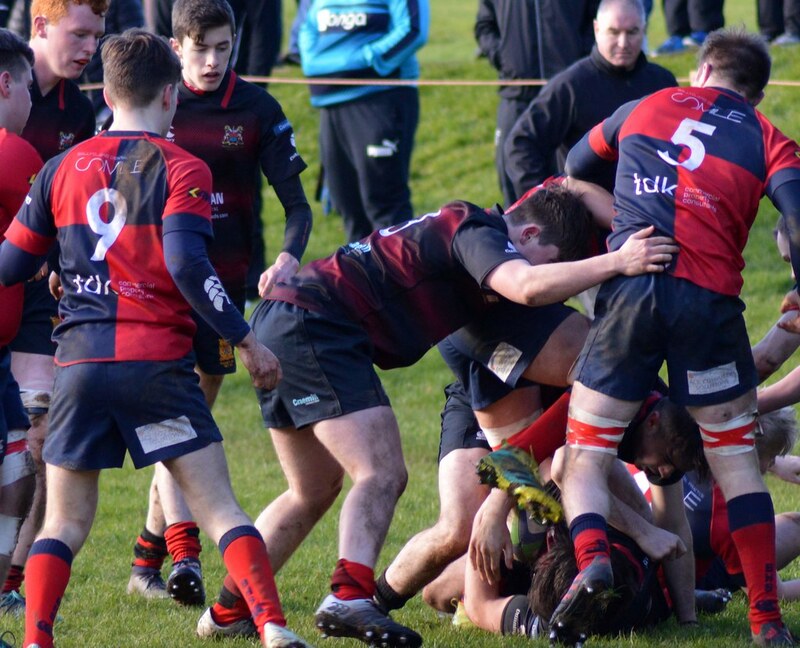 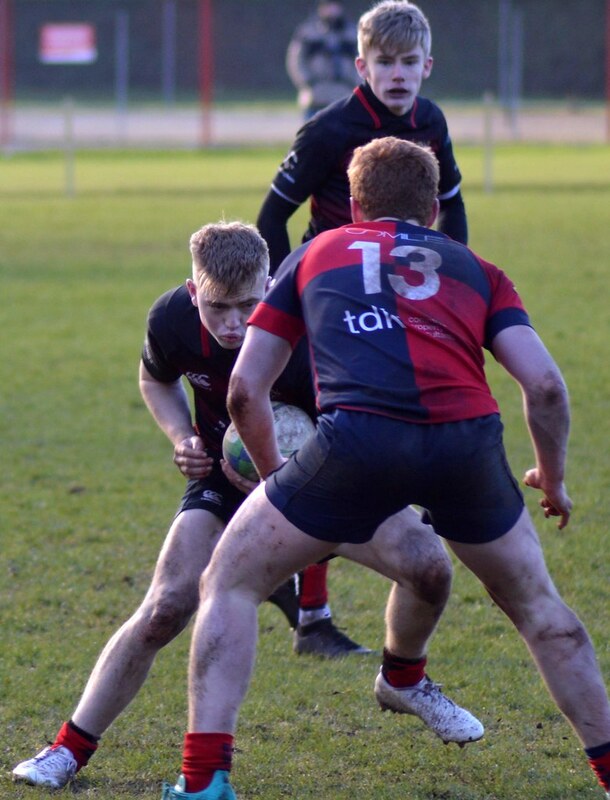 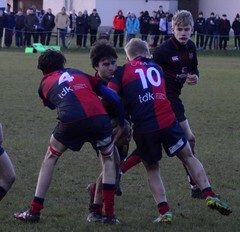 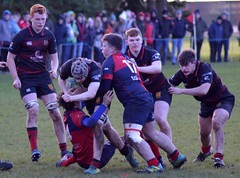 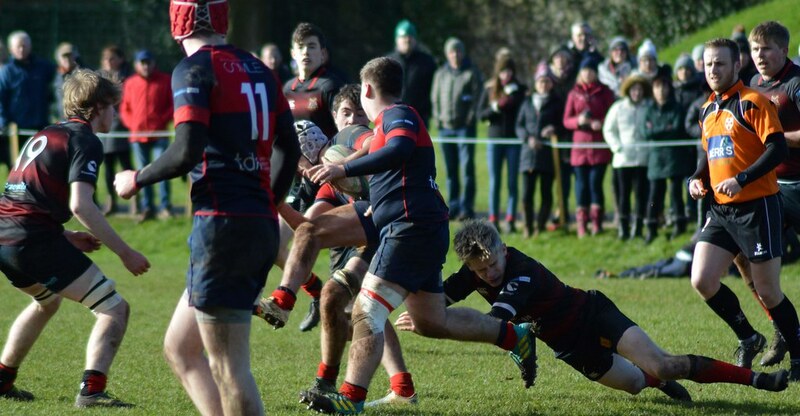 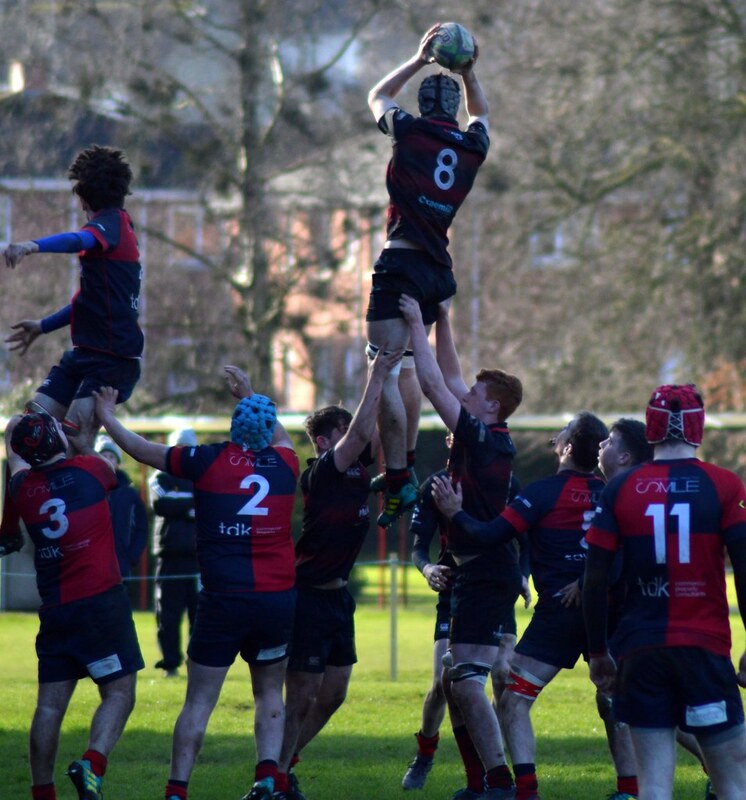 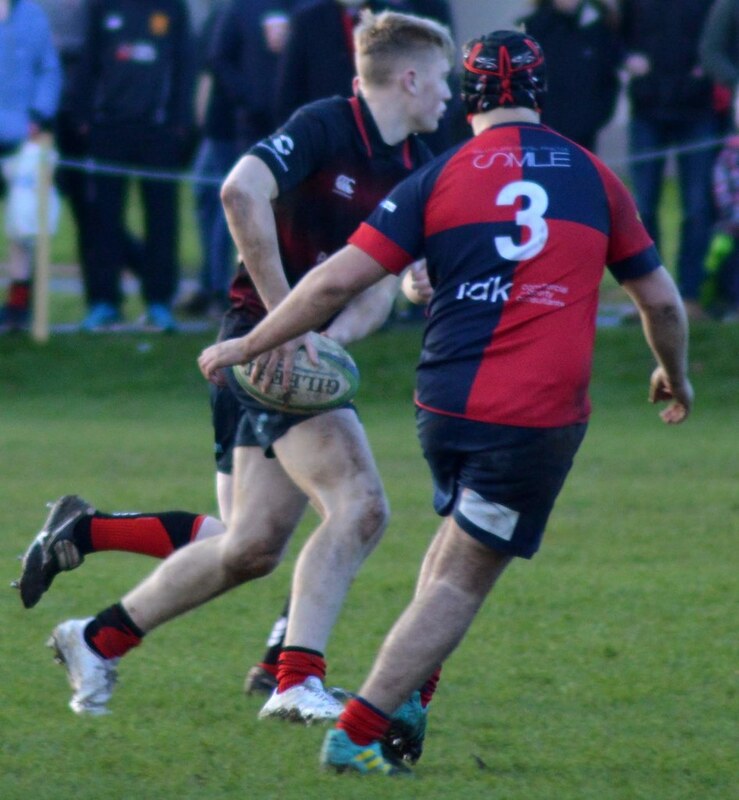 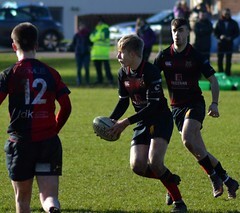 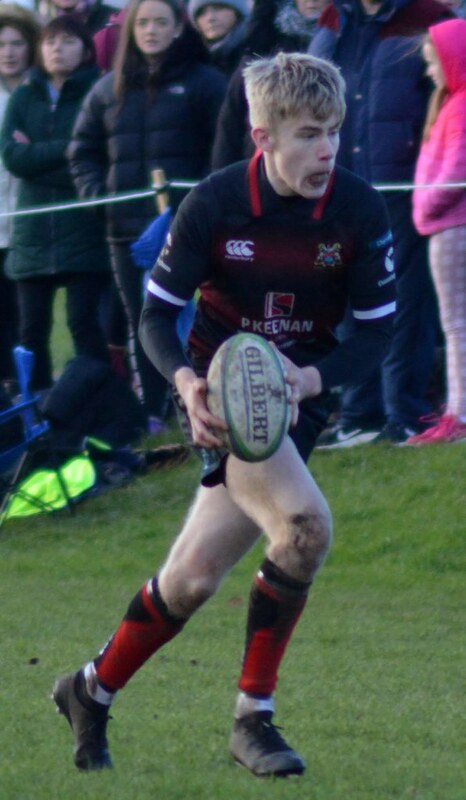 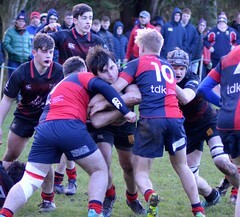 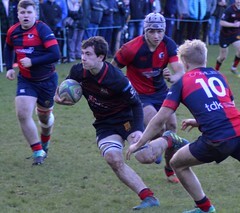 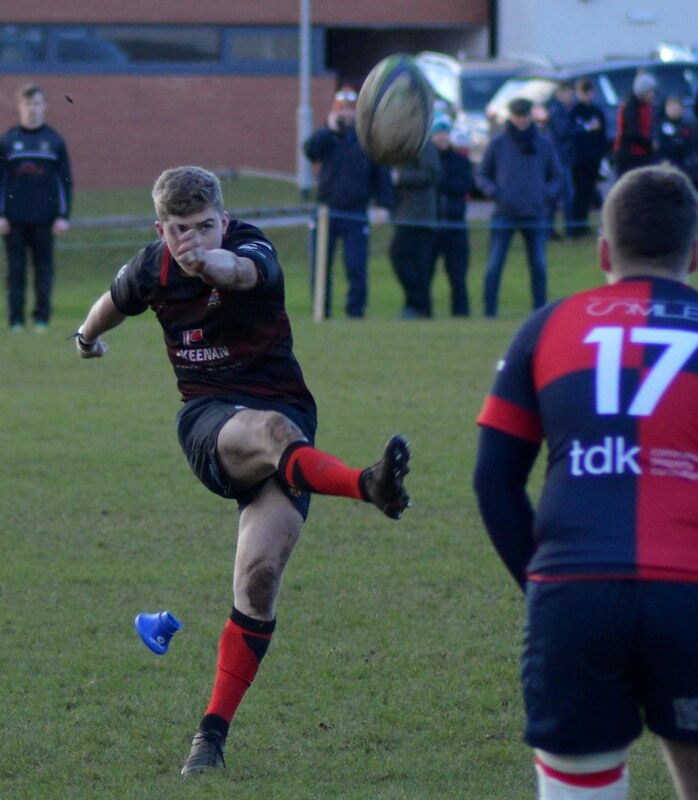 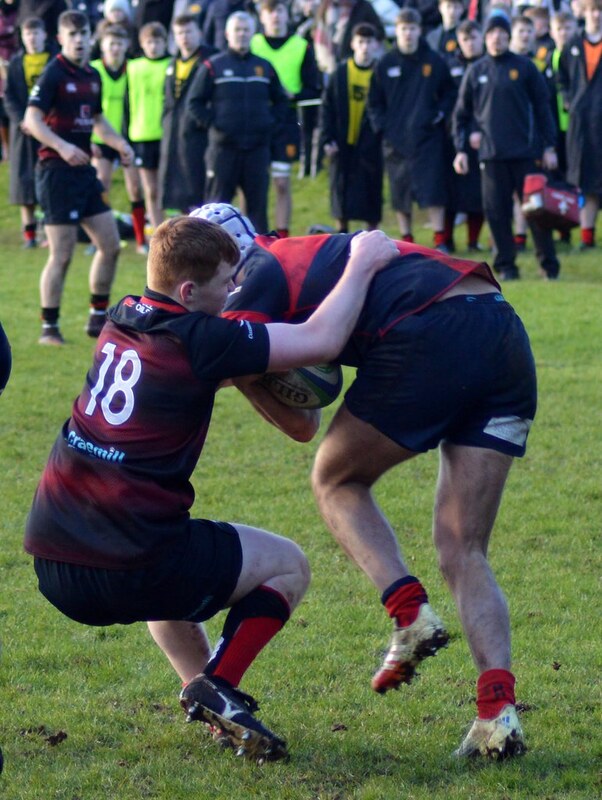 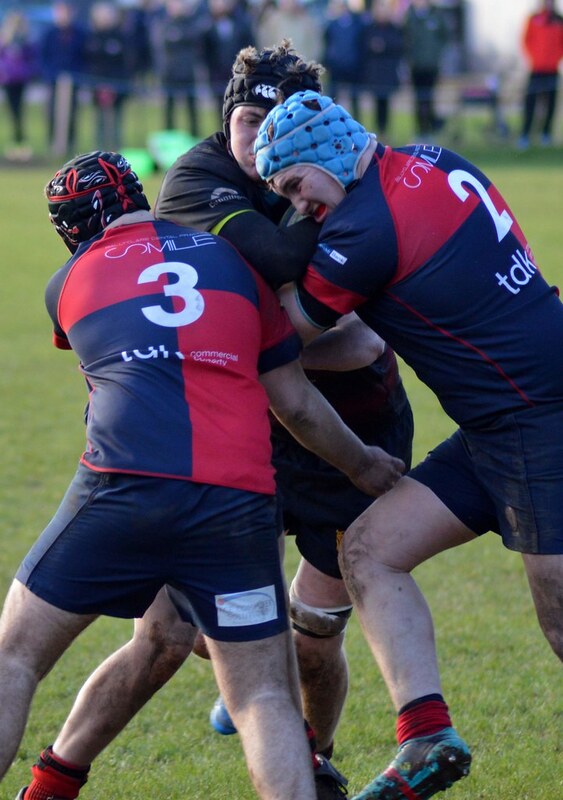 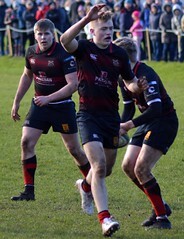 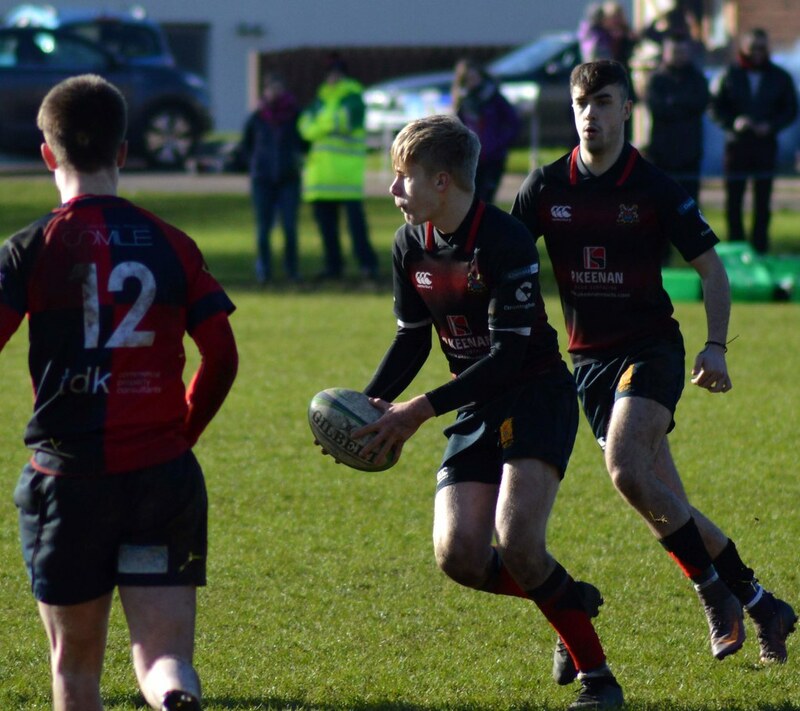 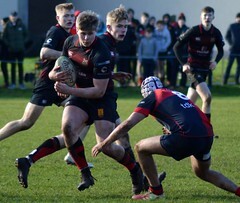 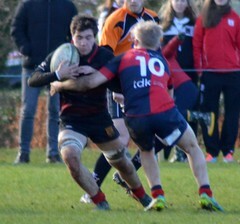 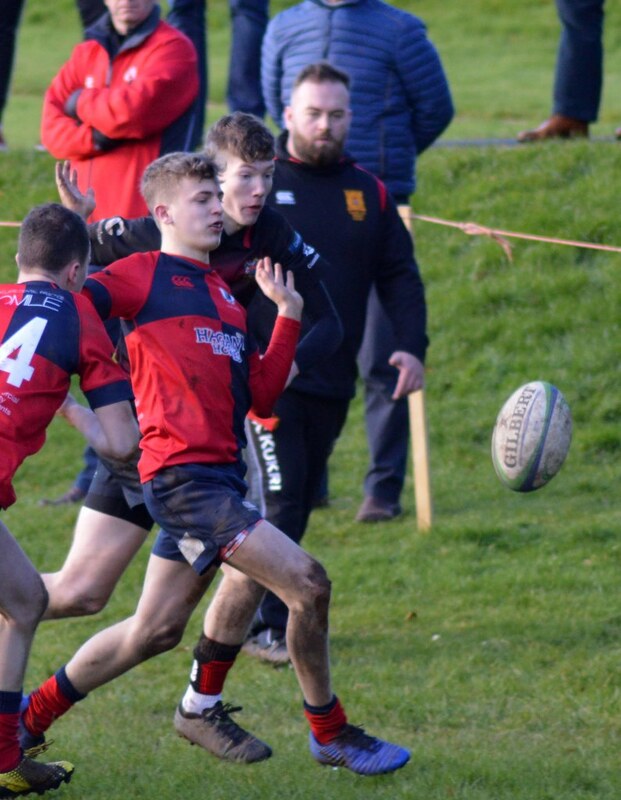 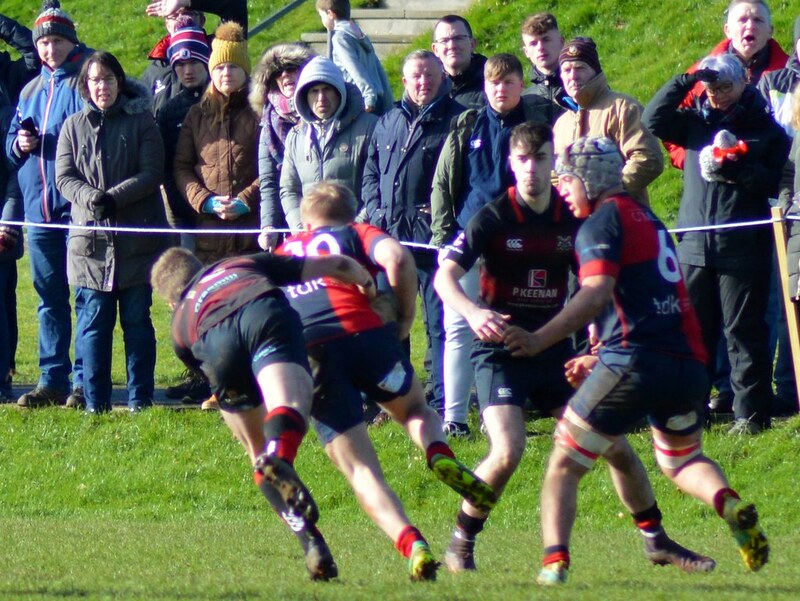 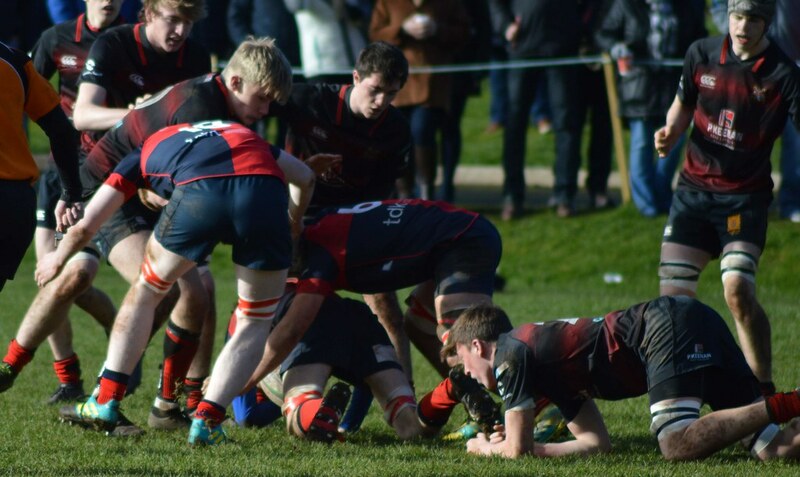 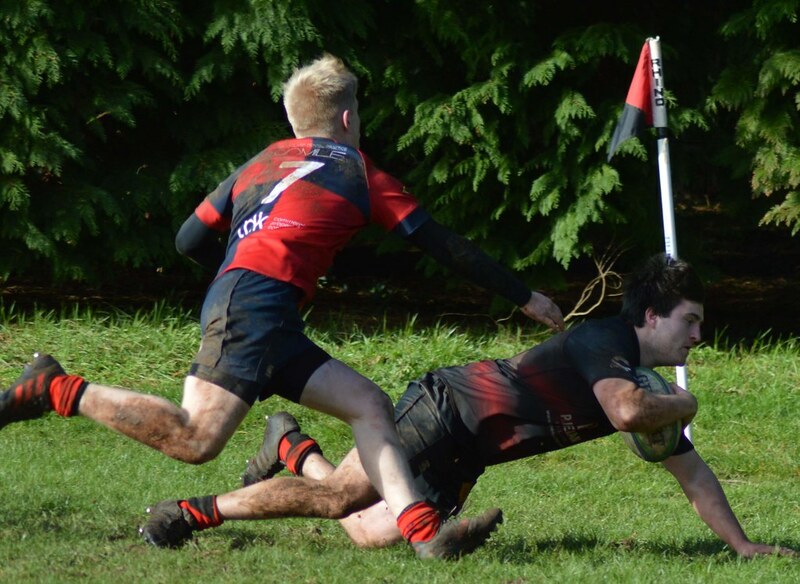 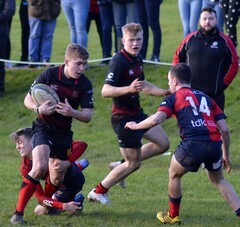 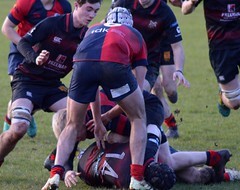 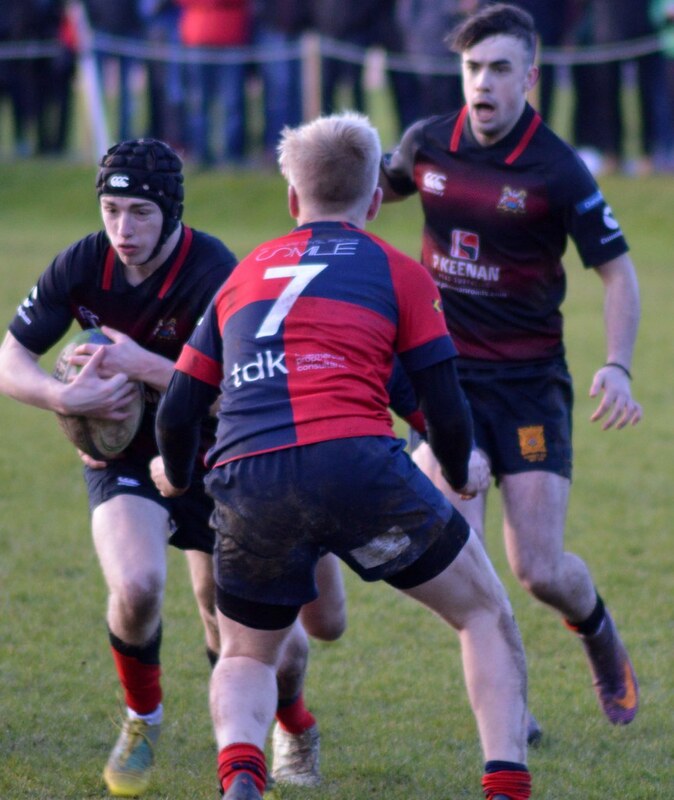 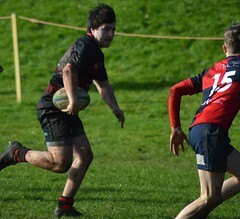 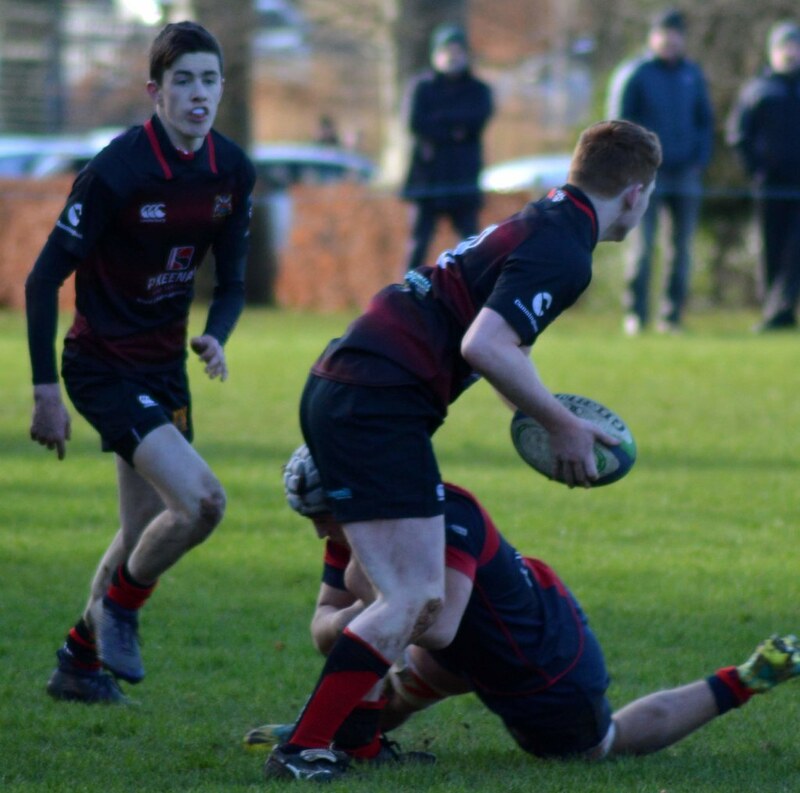 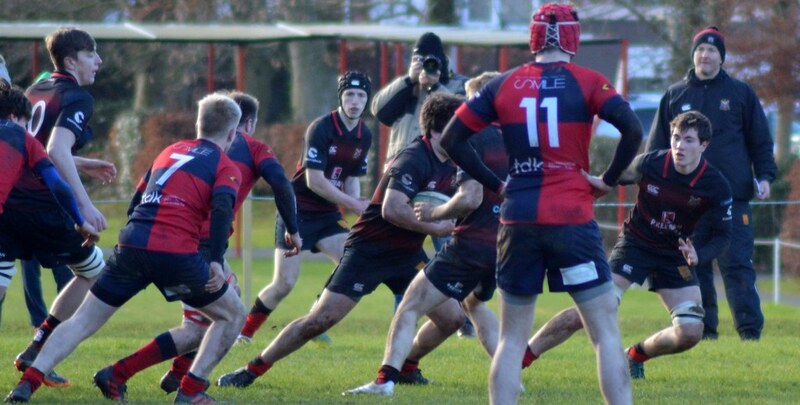 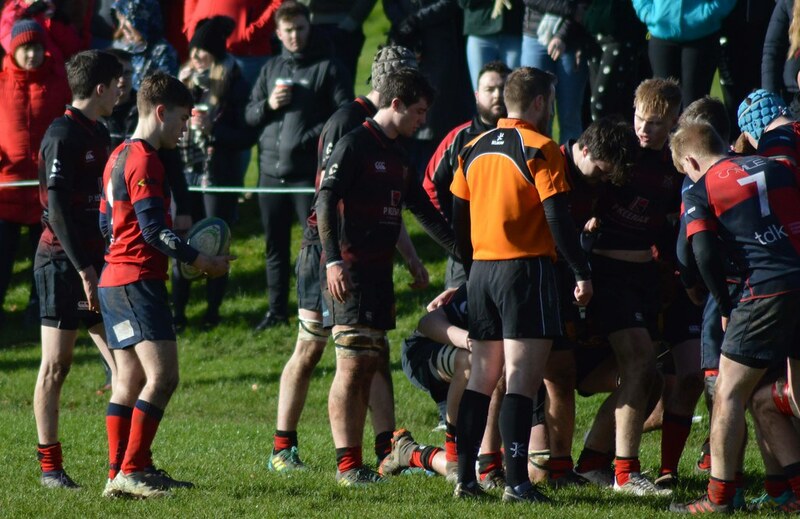 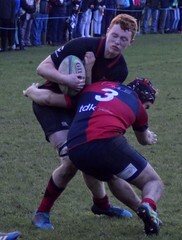 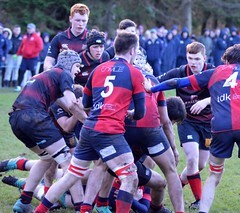 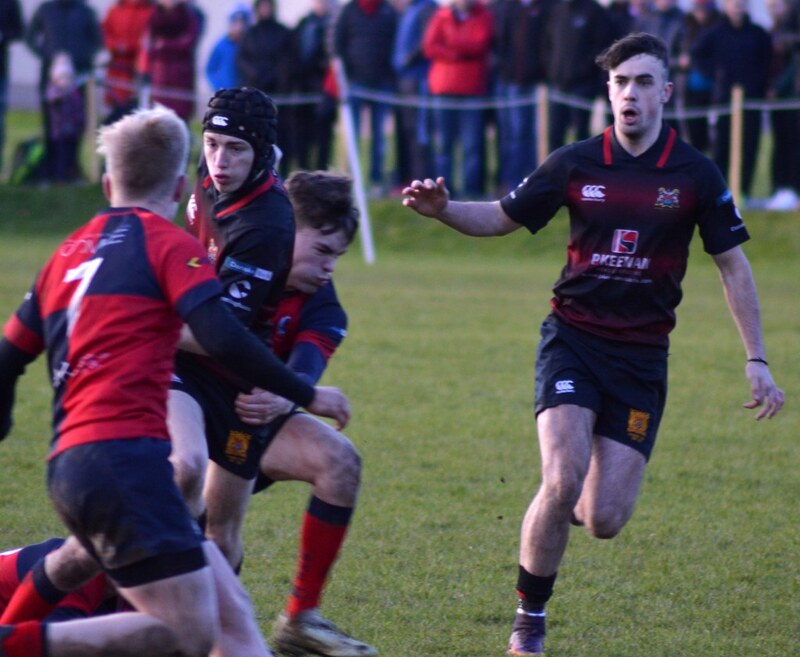 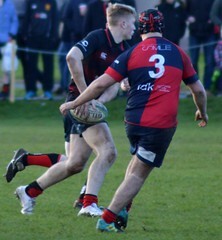 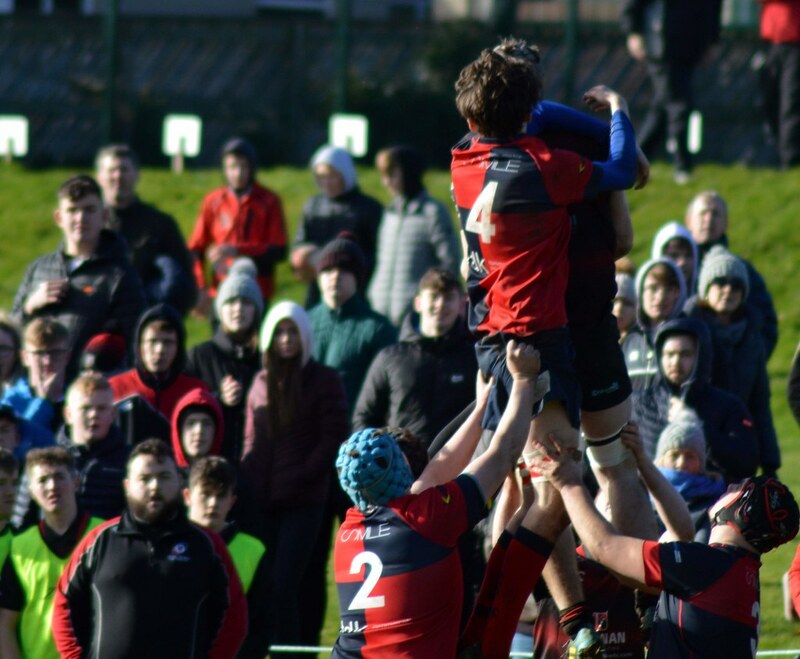 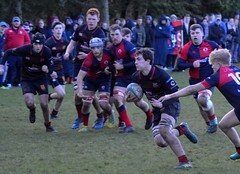 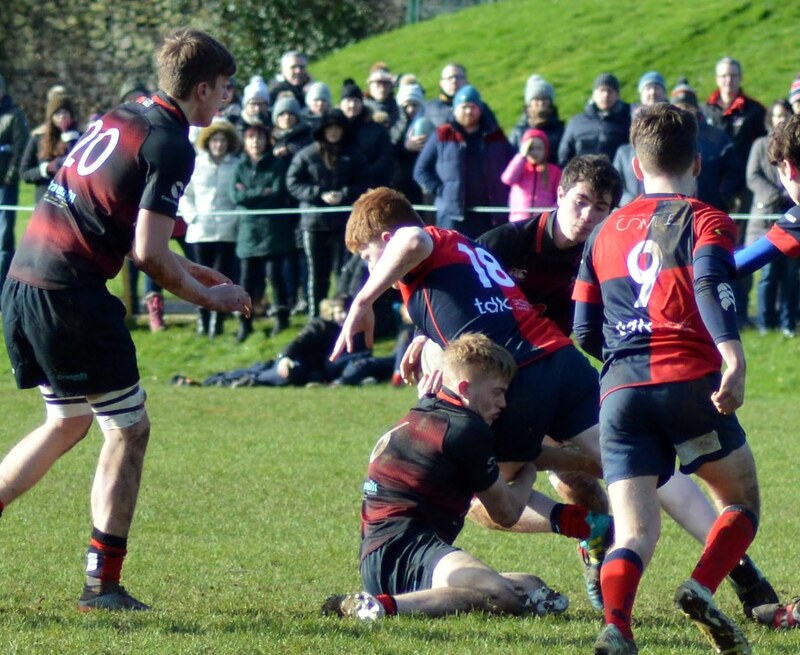 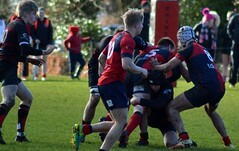 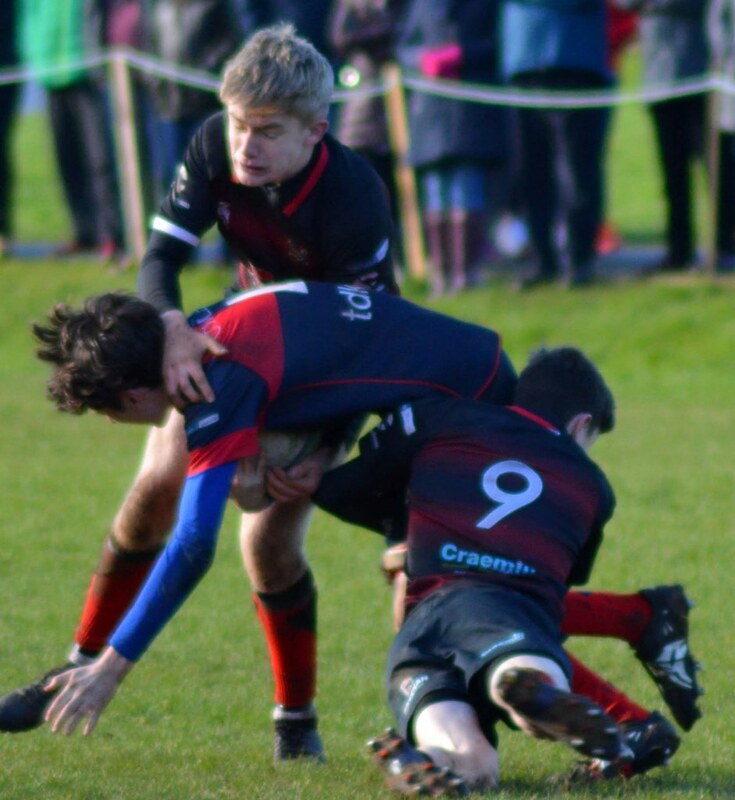 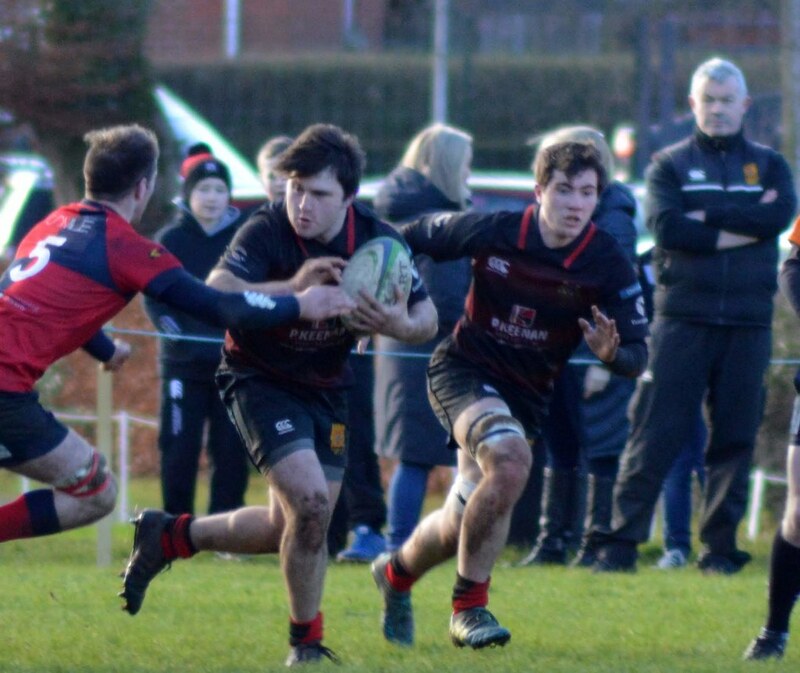 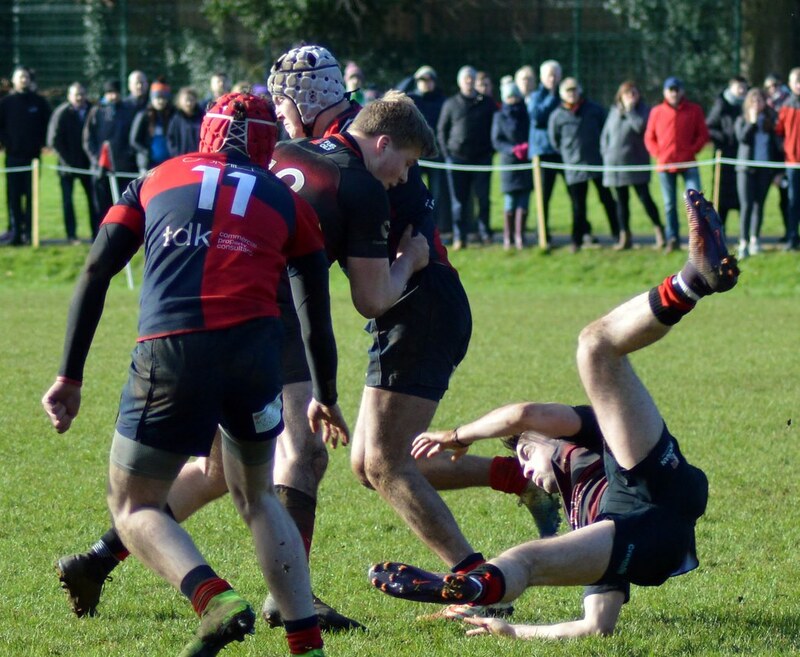 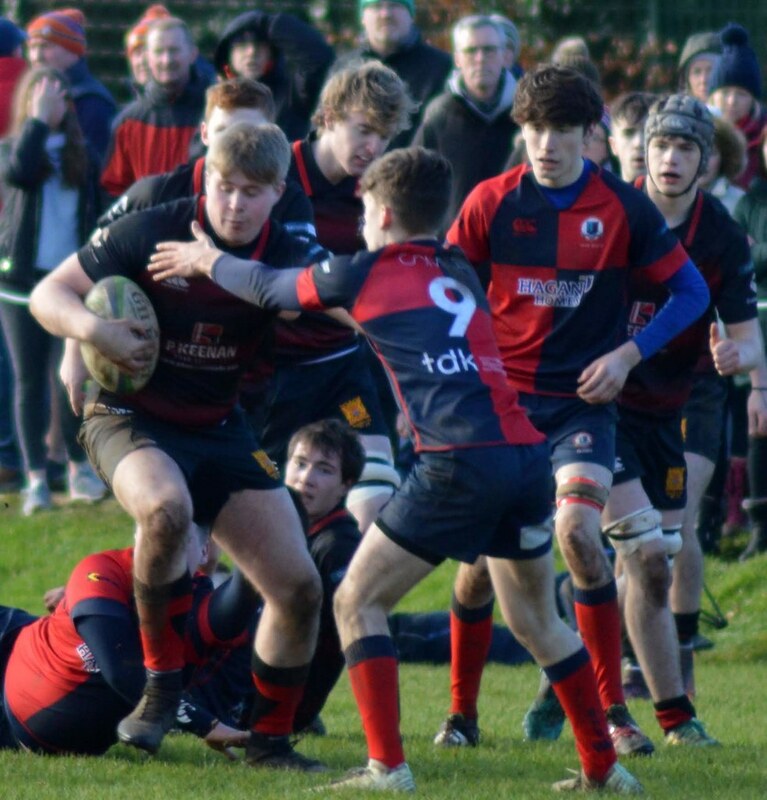 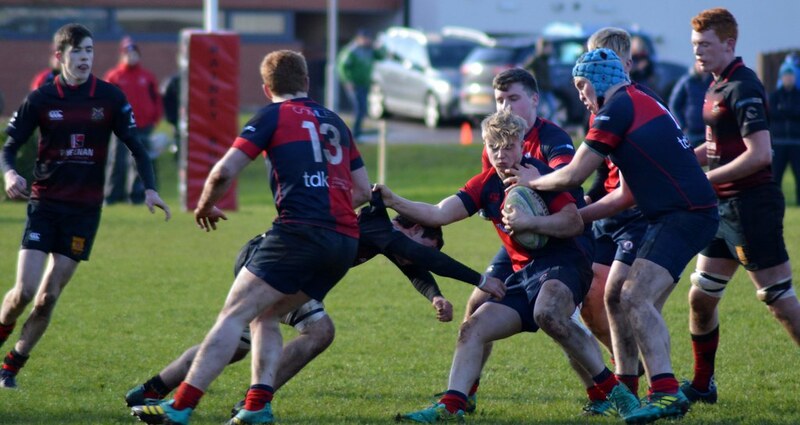 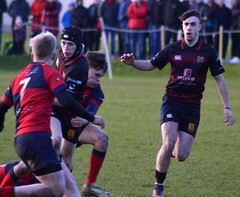 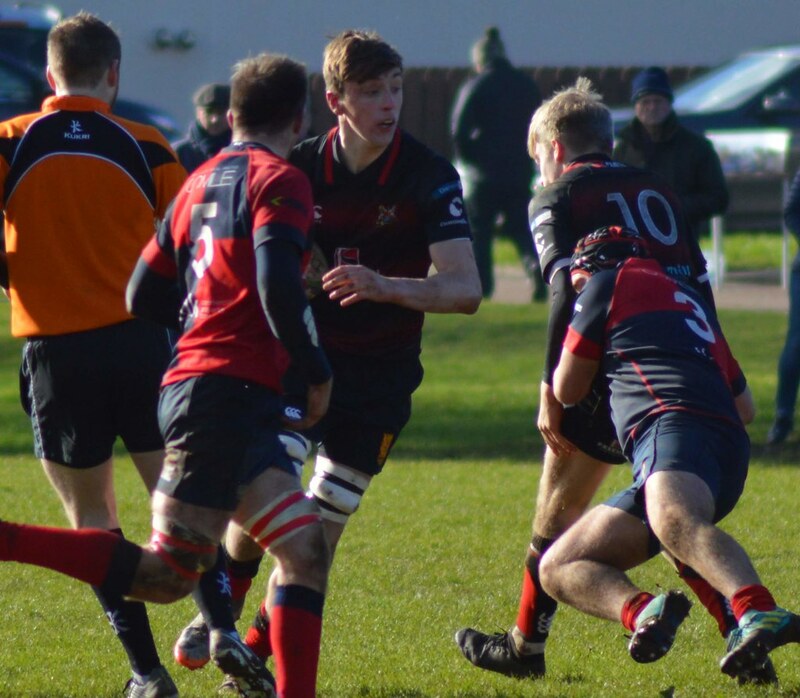 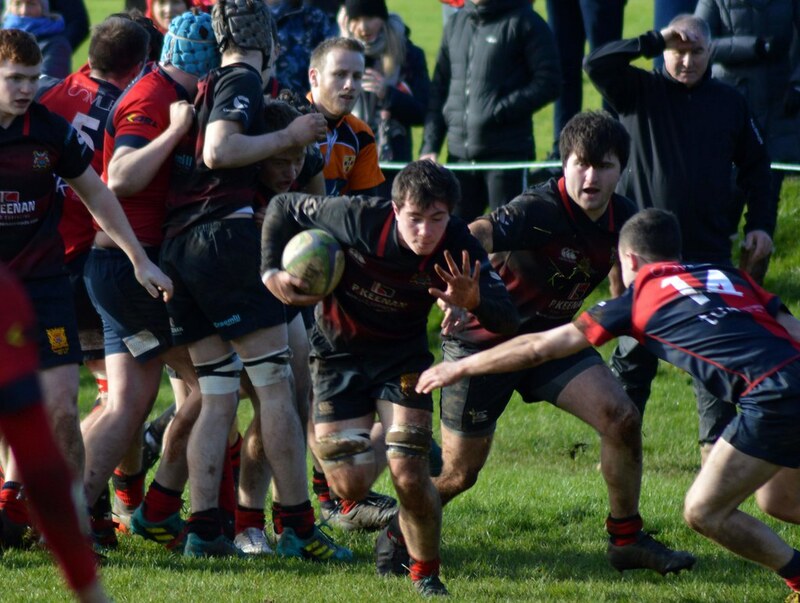 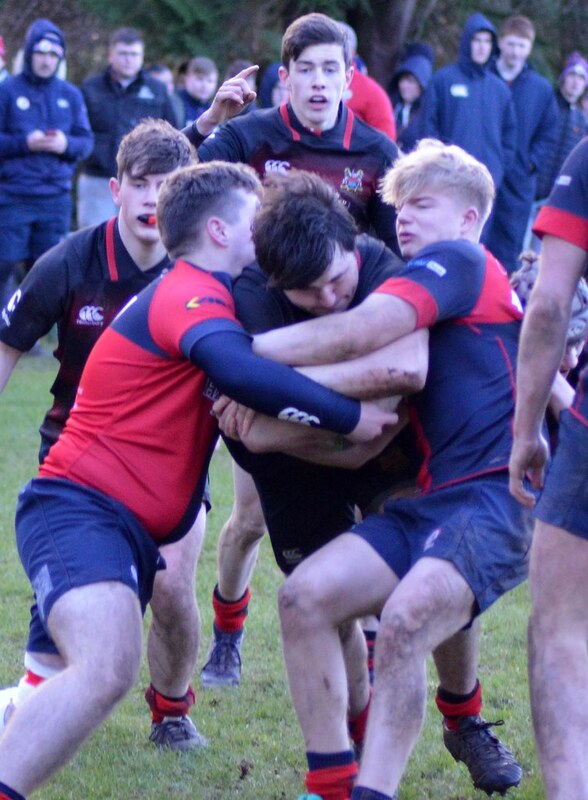 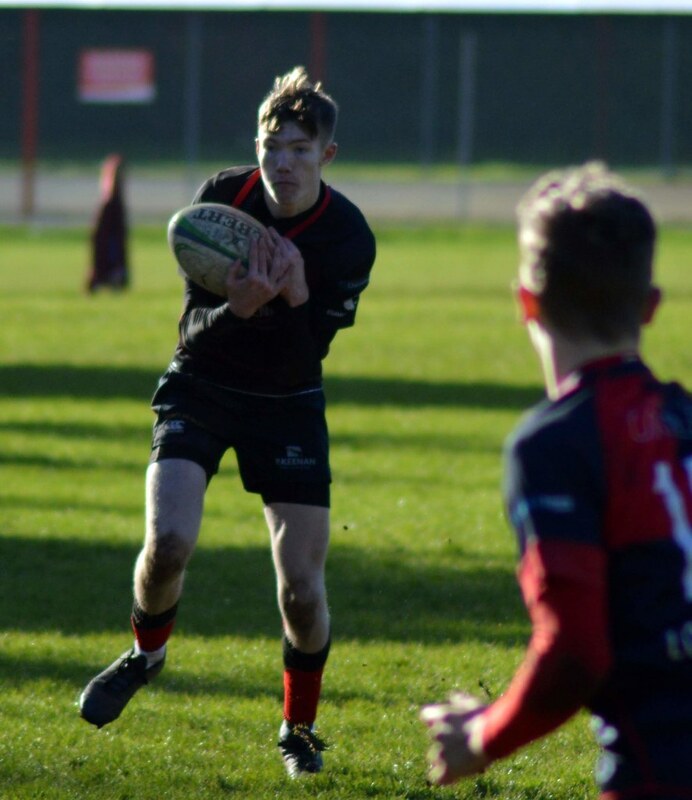 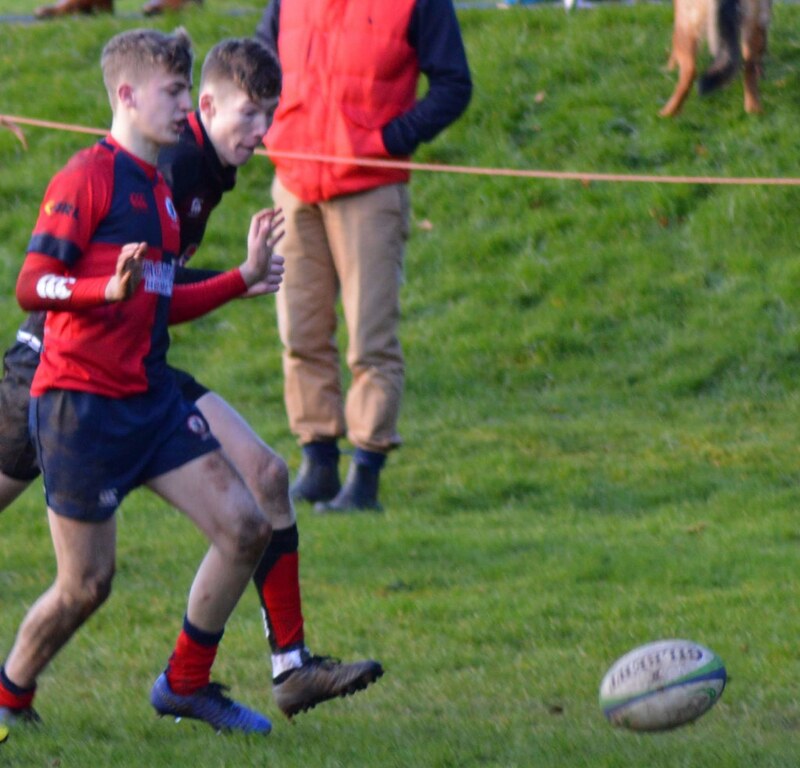 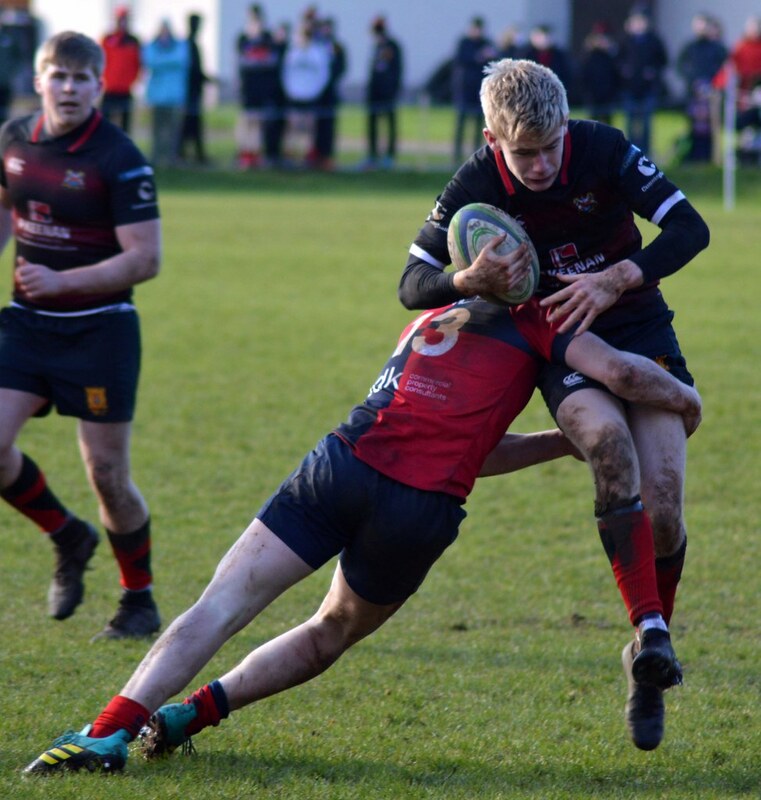 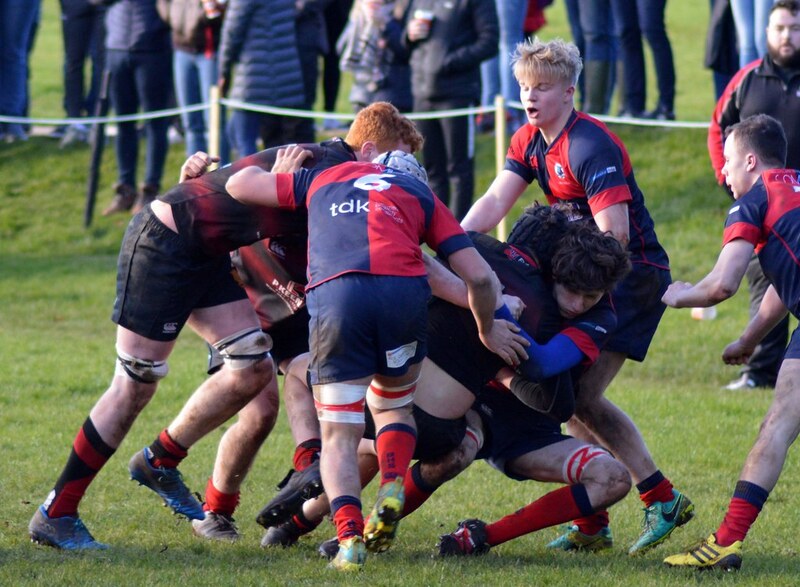 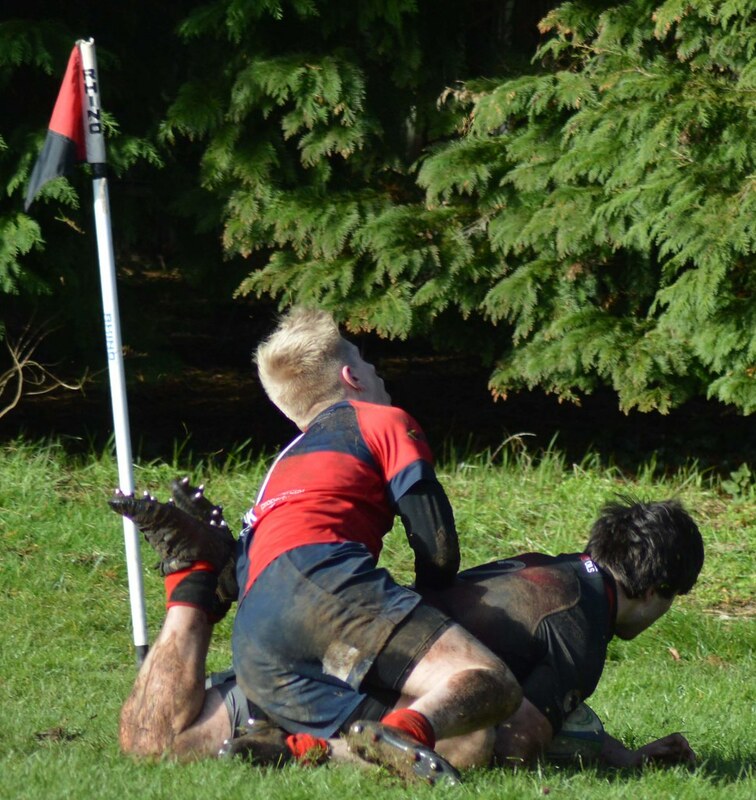 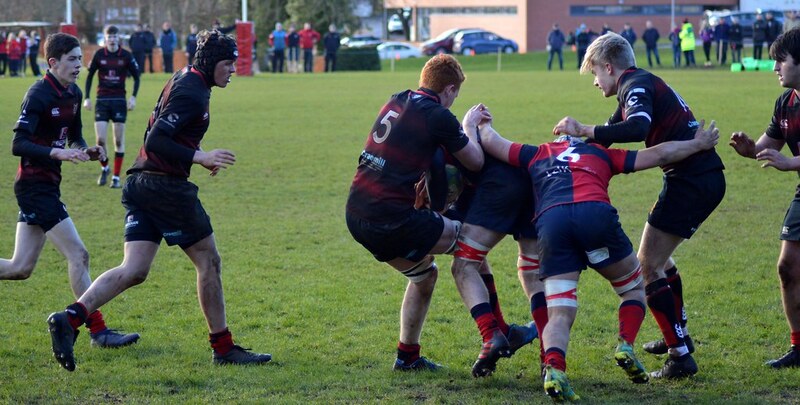 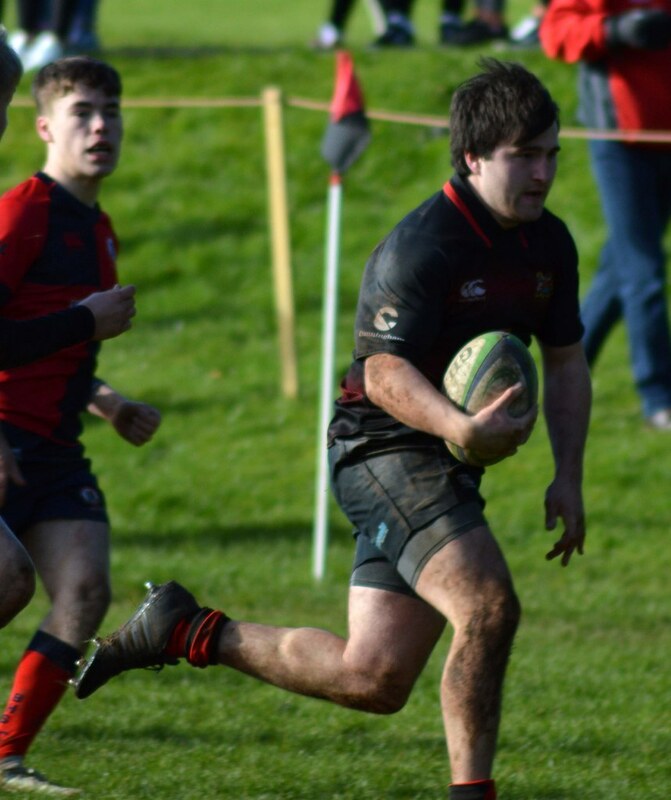 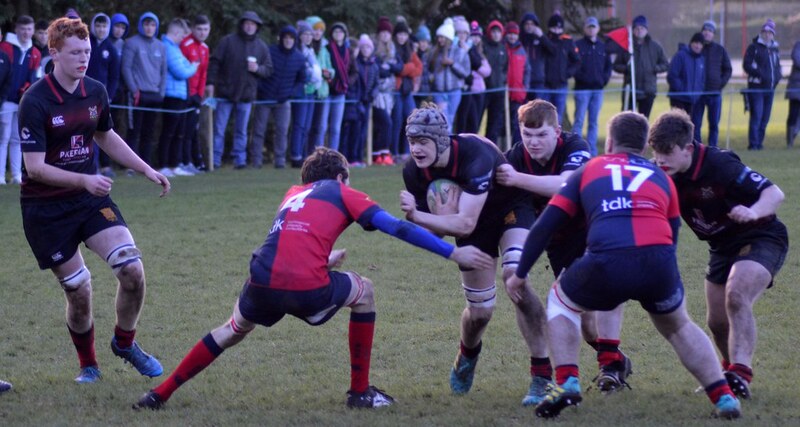 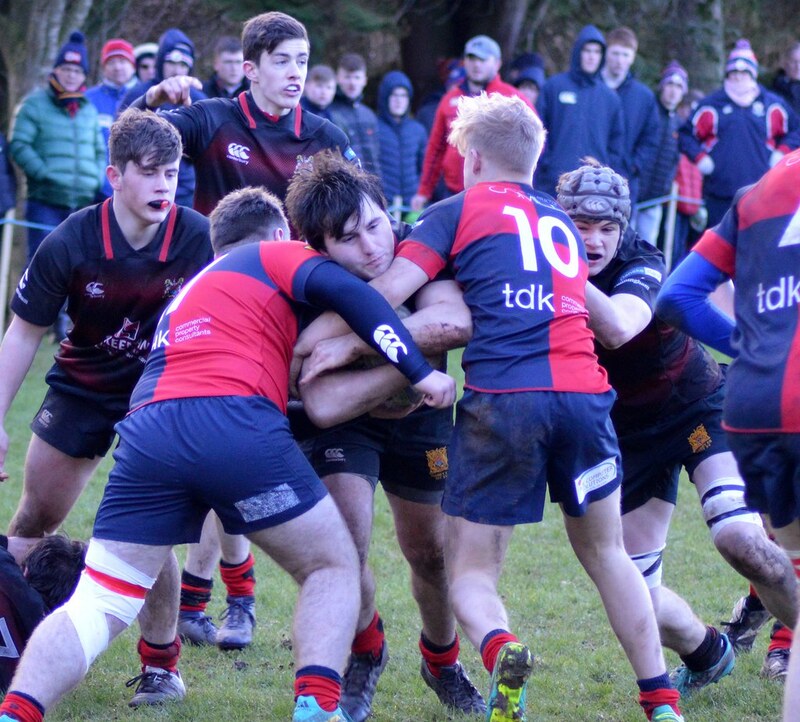 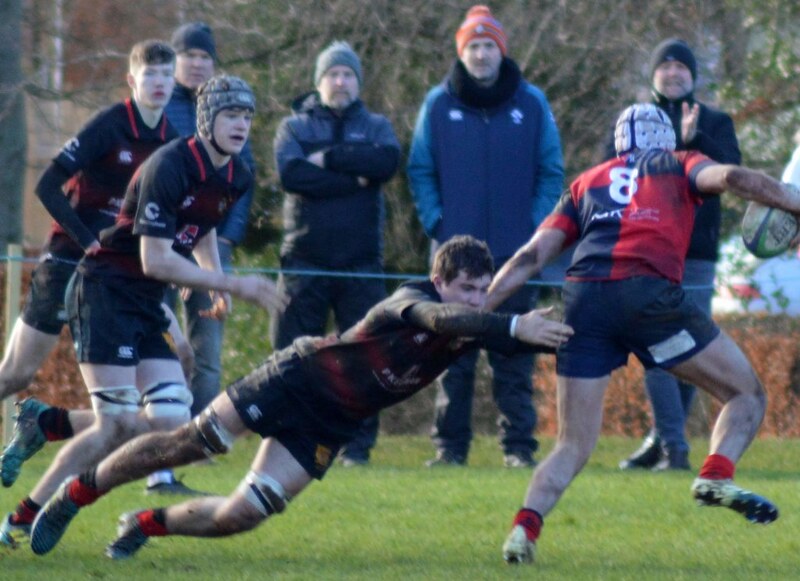 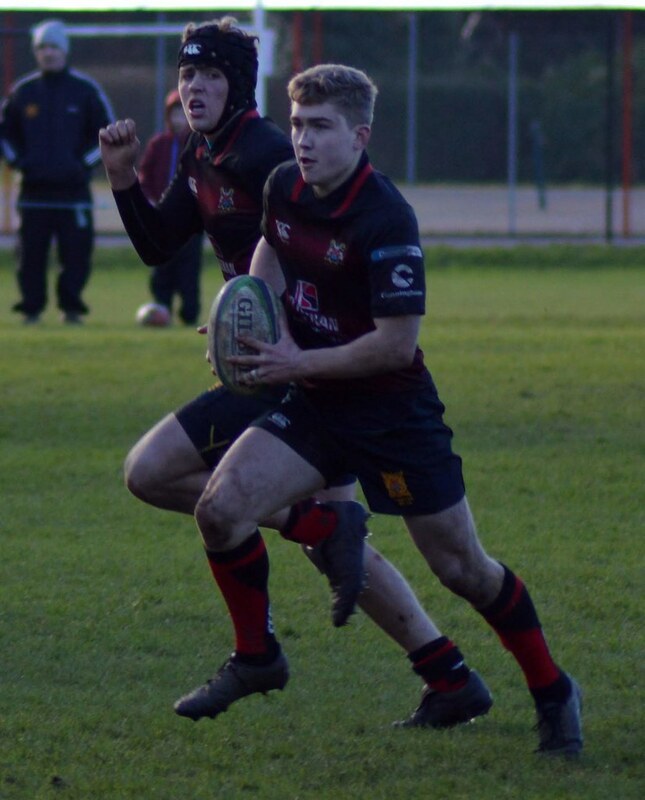 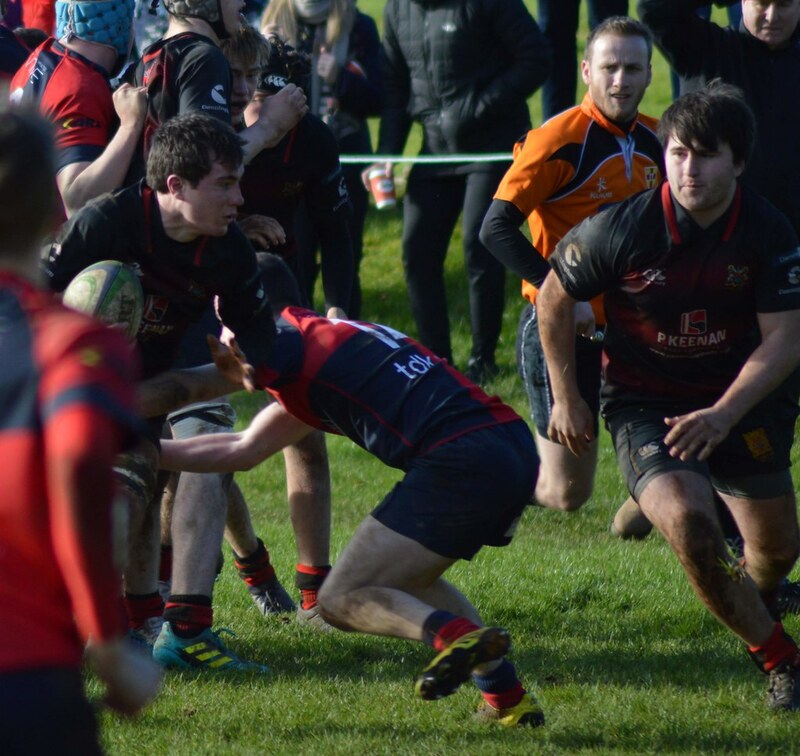 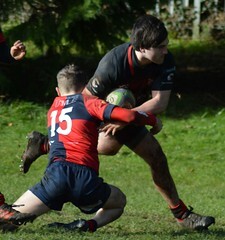 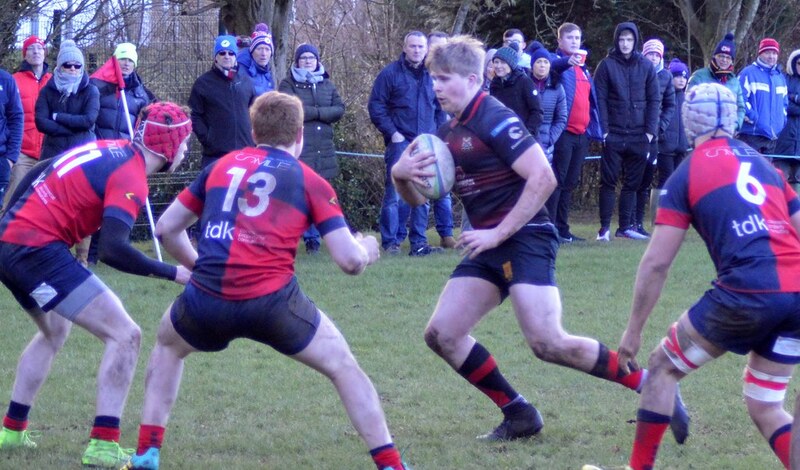 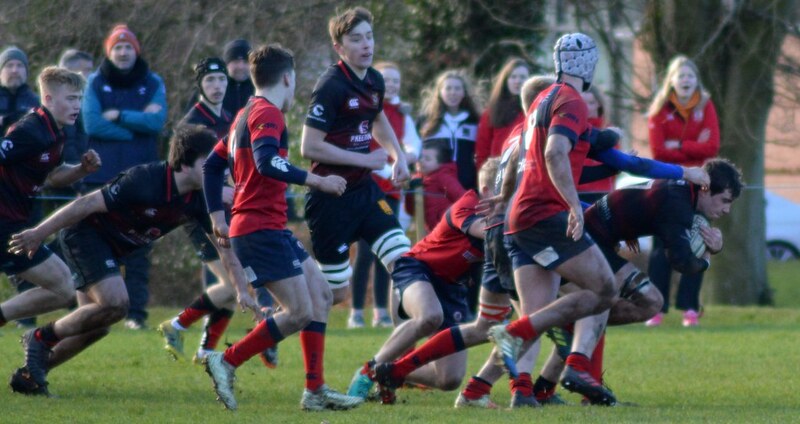 Danske Bank Ulster Schools Cup Round 4 – Rainey ES 15 Ballyclare HS 12 (HT 5 5). Playing with a strong wind Ballyclare put Rainey under early pressure. 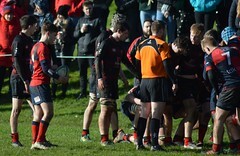 As the game settled down both teams tended to cancel each other out. 20 minutes into the half Ballyclare opened the scoring with a well worked try from a line out. 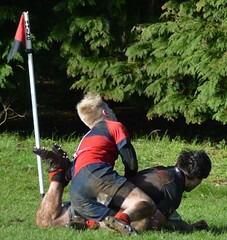 Rainey’s reply was swift when after a number of phases Rainey replied with a Callum Donnelly try. Ballyclare worked hard to get a try just before the whistle but the Rainey defence held firm. Rainey started the 2nd half strongly and within a few minutes of the restart Harry Evans put Rainey 8 5 in front. 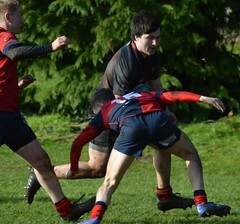 Rainey continued to dominate but couldn’t get the elusive score. 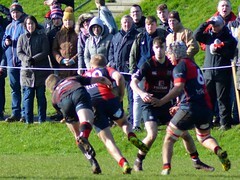 With 15 minutes remaining a line break from Bryan Hall put Bryn Davies in space and he powered over the line to score. 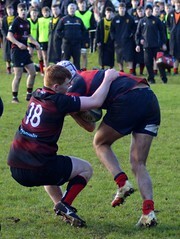 Harry Evans converted to make it 15 5. 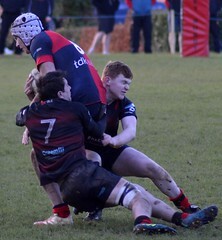 Ballyclare then through everything at the home side and after a number of penalties Rainey had a player sin binned. Ballyclare then scored a converted try to make it 15 12. Rainey then played nervy final minutes. 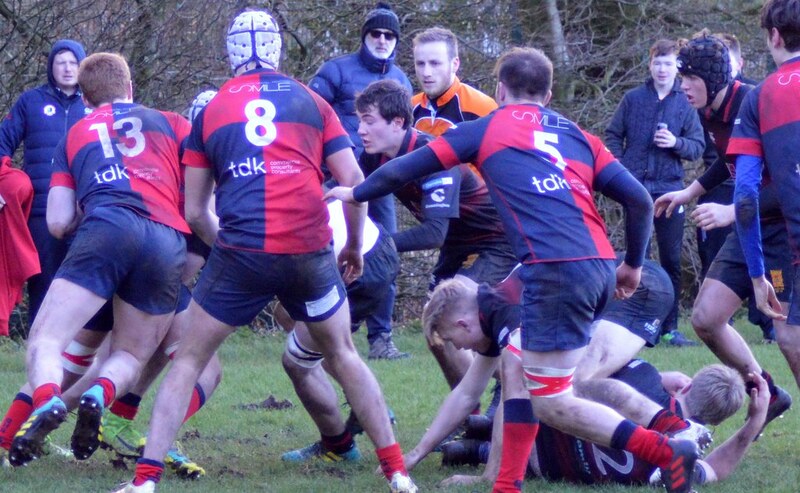 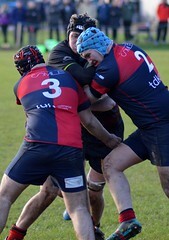 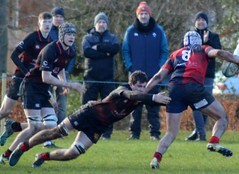 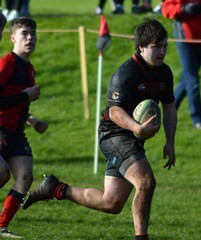 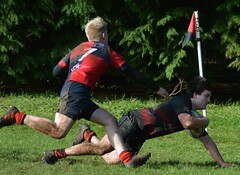 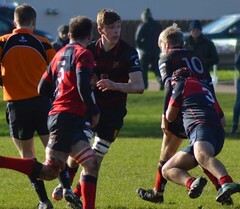 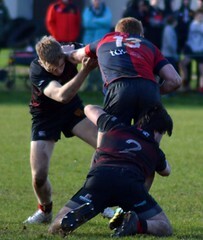 They played smartly to hold out and keep Ballyclare a distance from their line. Congratulations to the Rainey ES 1stXV Squad, what a performance. You gave everything and produced a magnificent performance that made your school very proud of you. 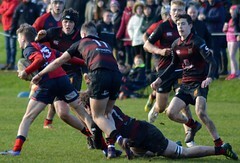 Than you Ballyclare HS for a closely fought game. 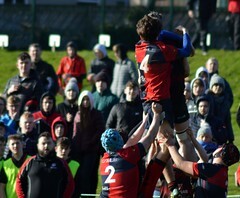 Thanks to a great home support. 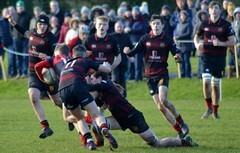 Home to Wallace HS in the Quarter Final. 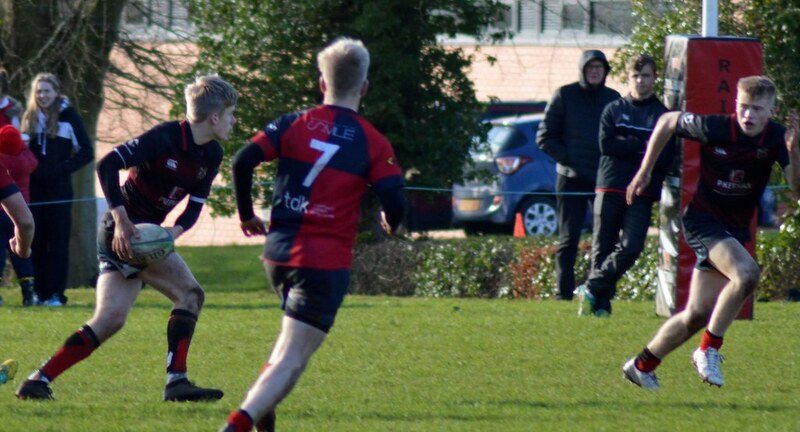 Keep the date free. 23rd Feb.